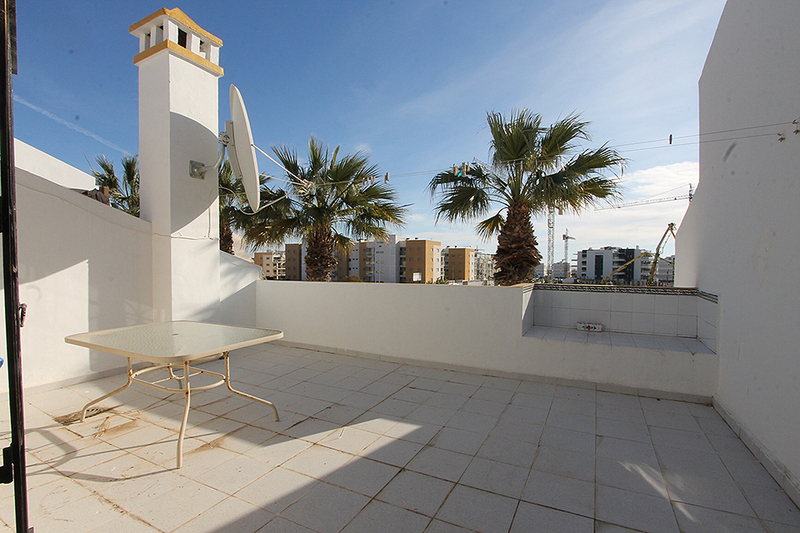 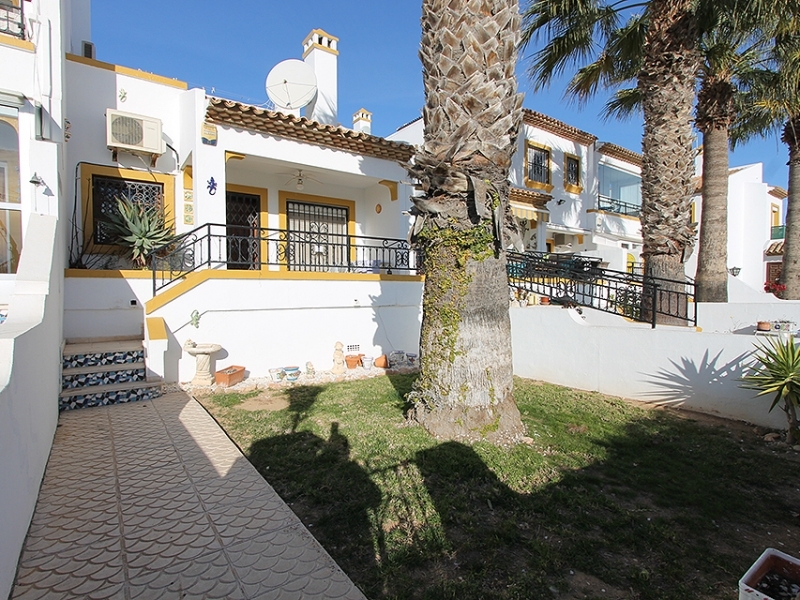 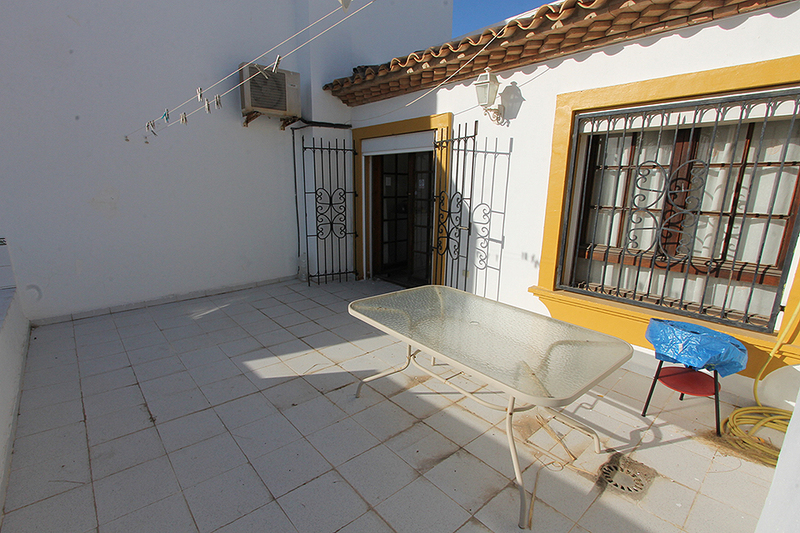 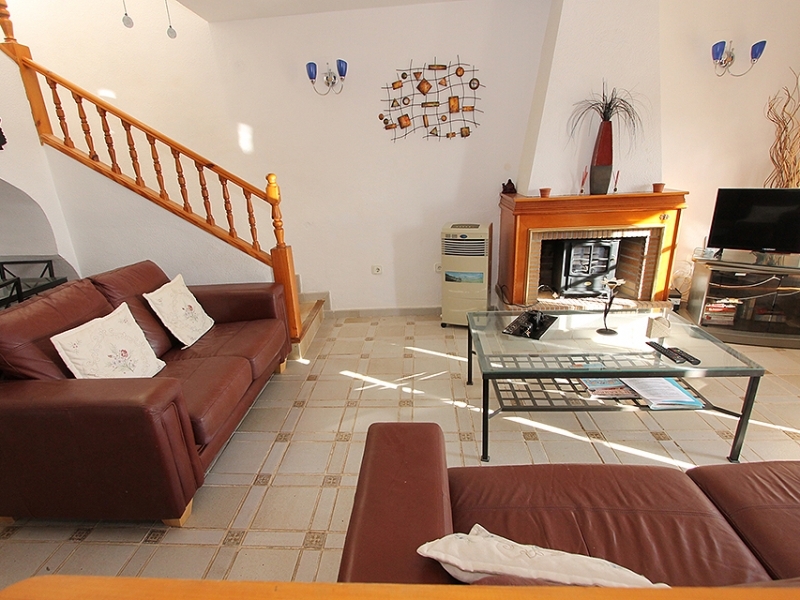 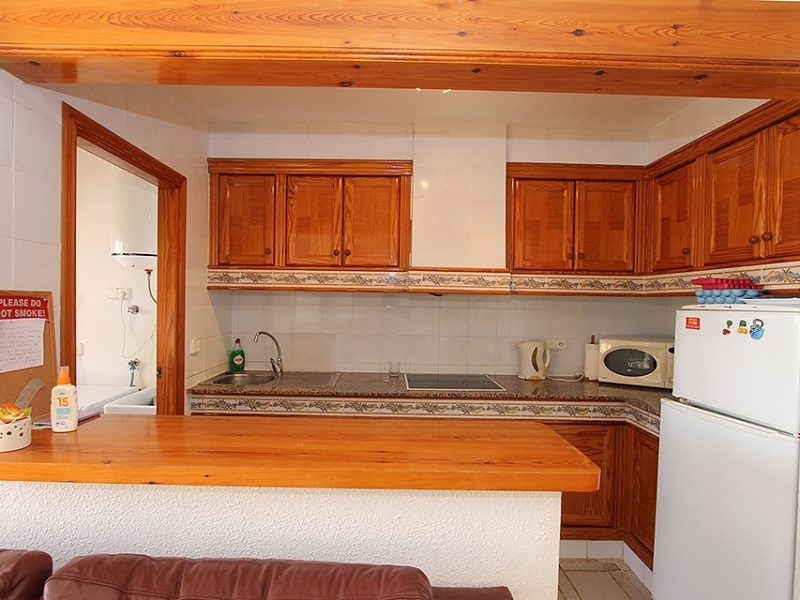 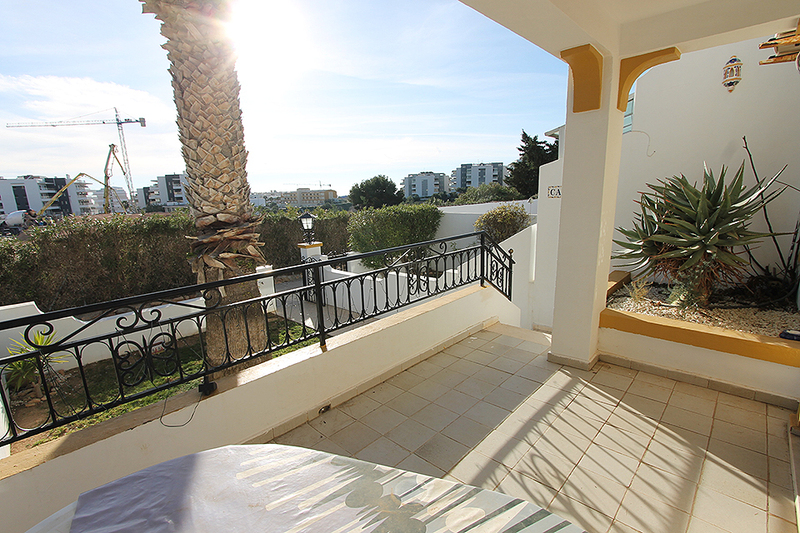 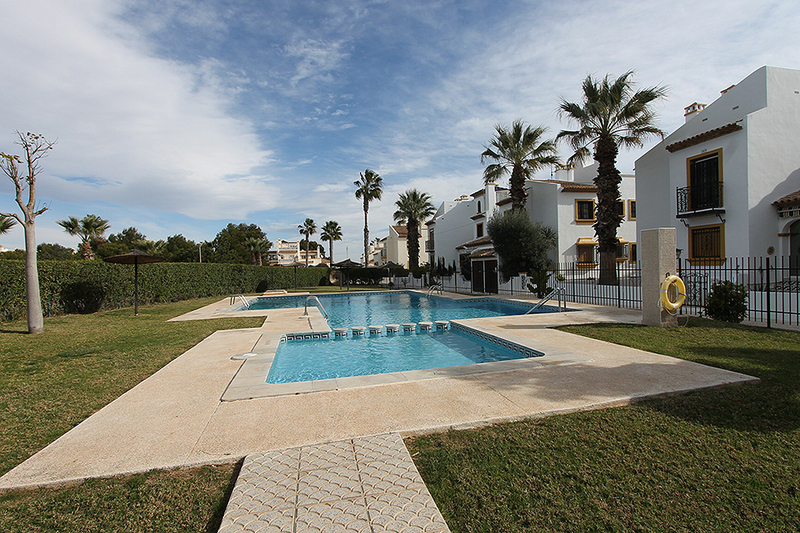 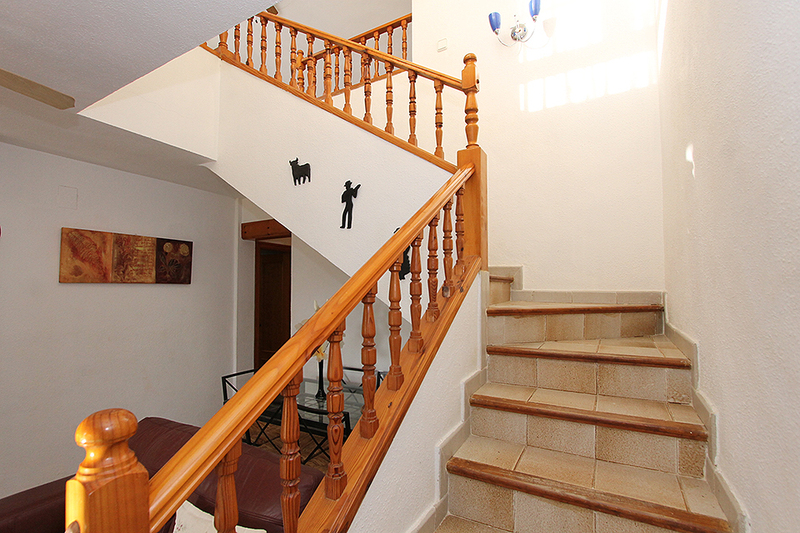 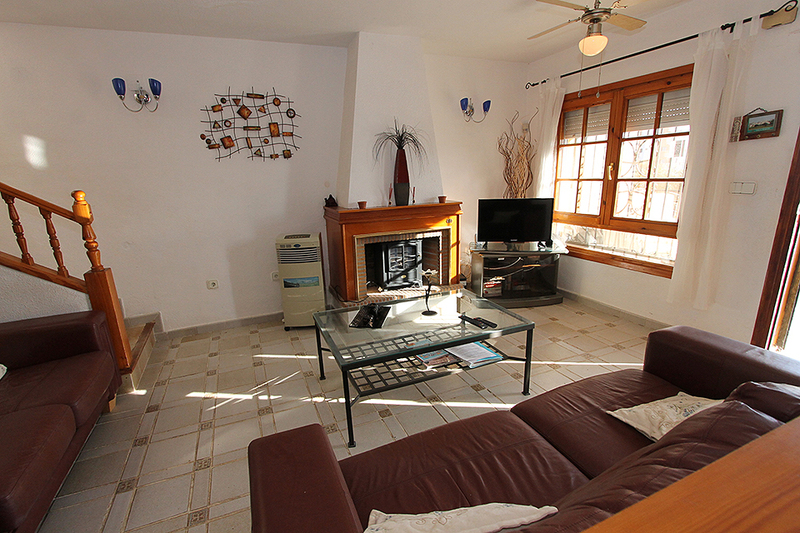 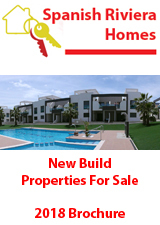 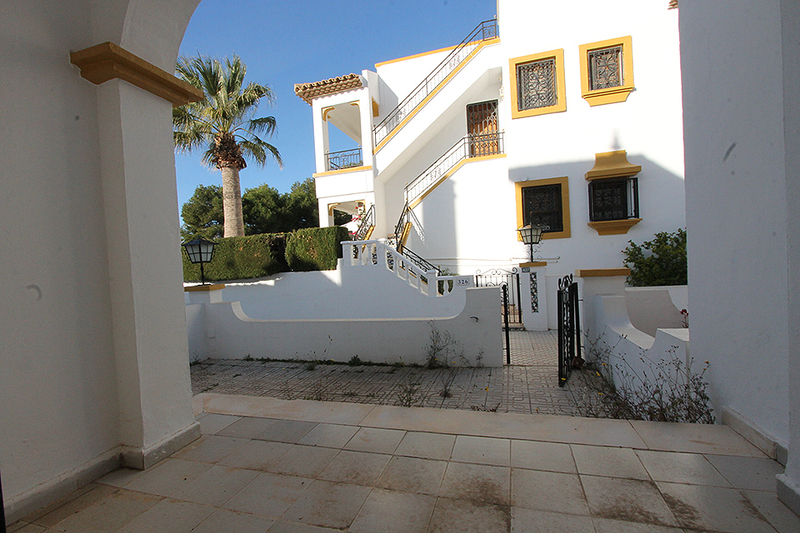 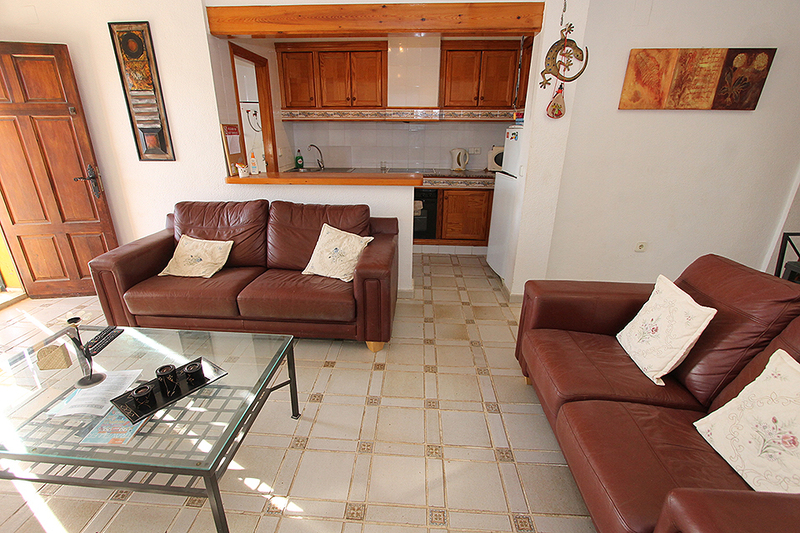 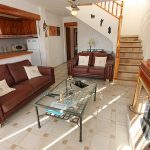 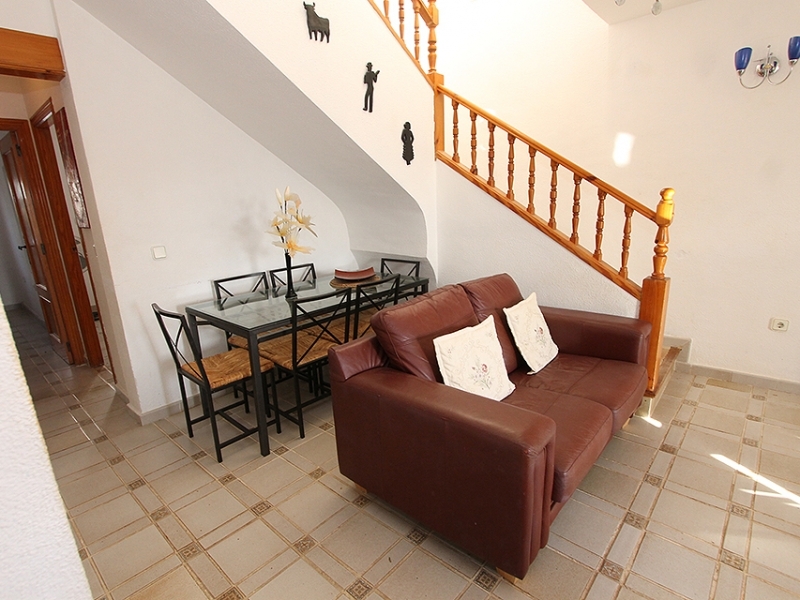 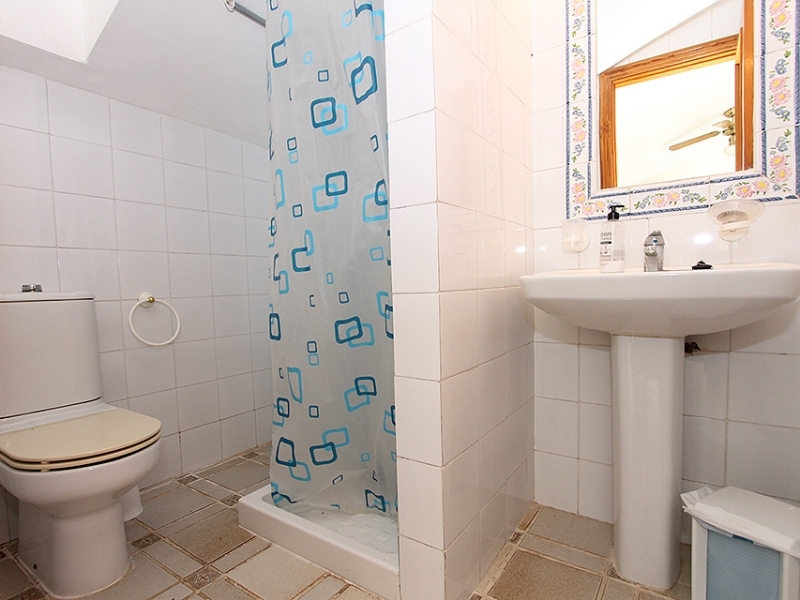 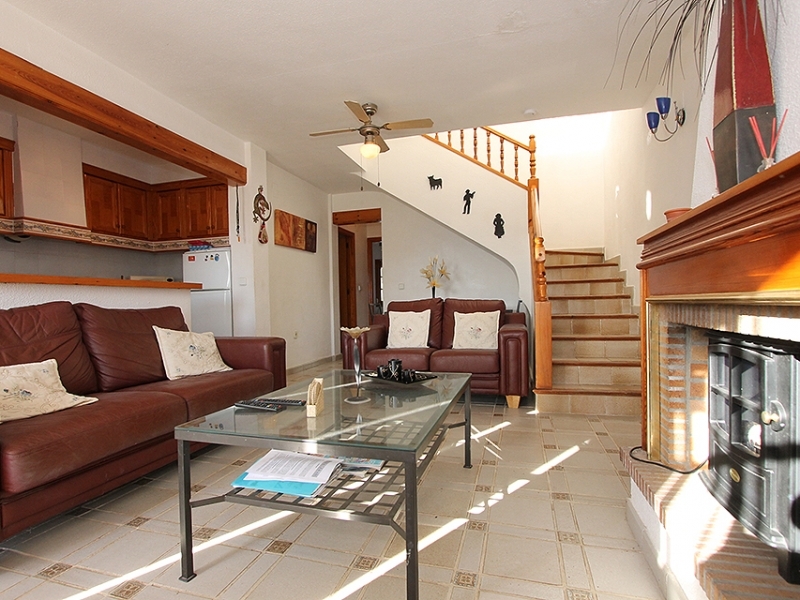 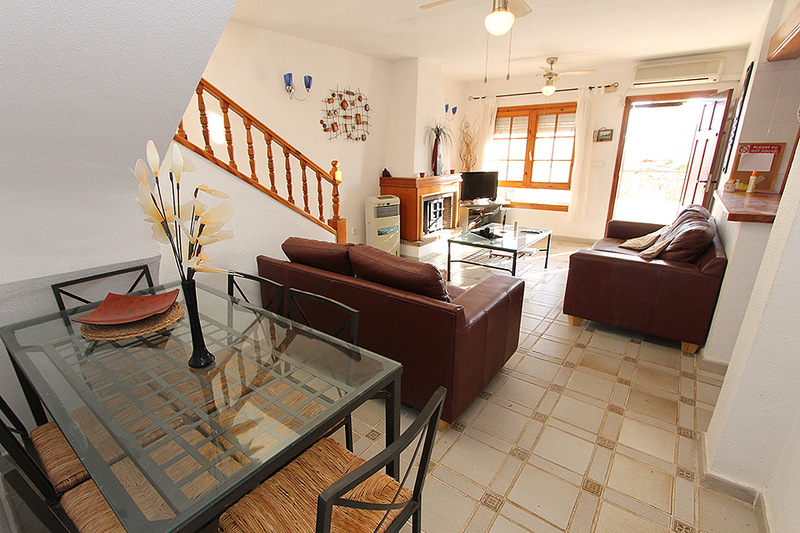 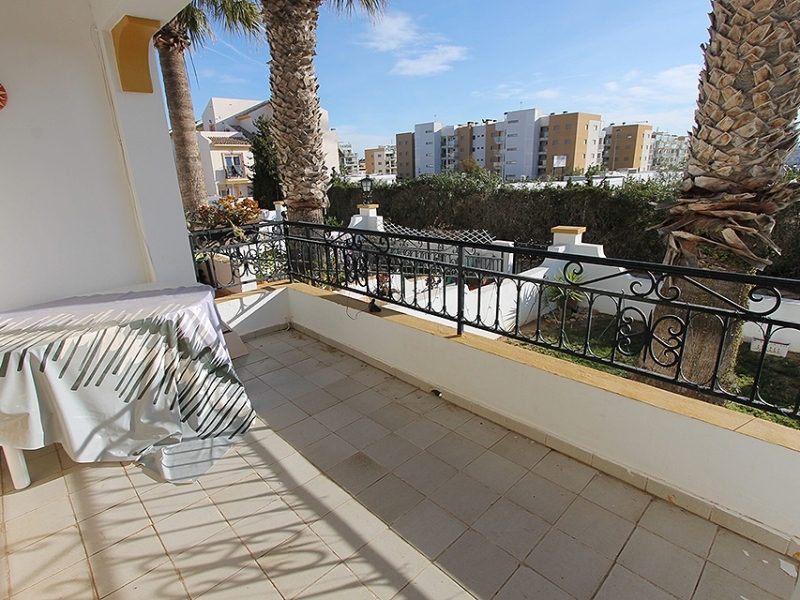 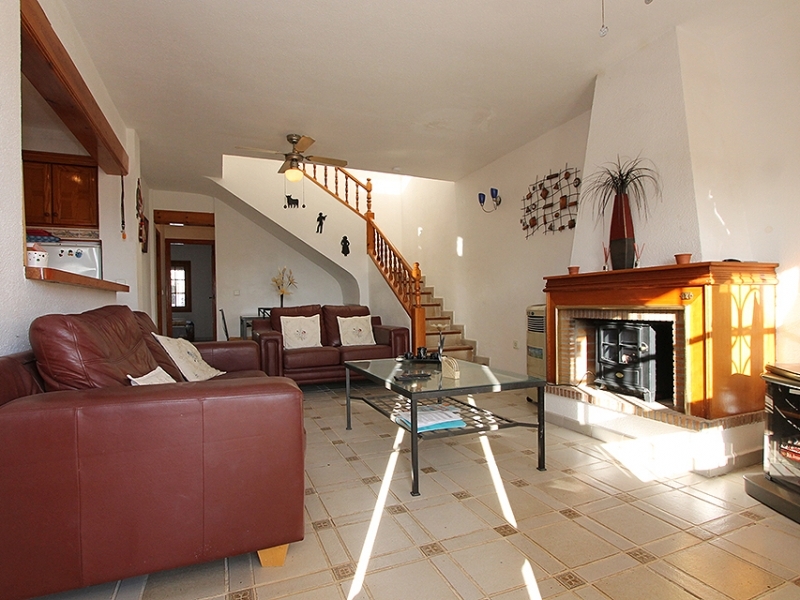 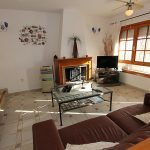 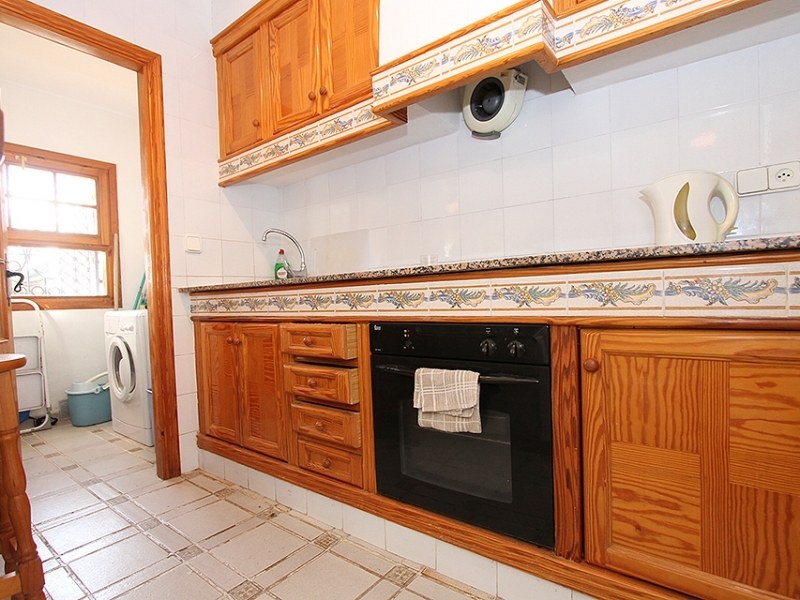 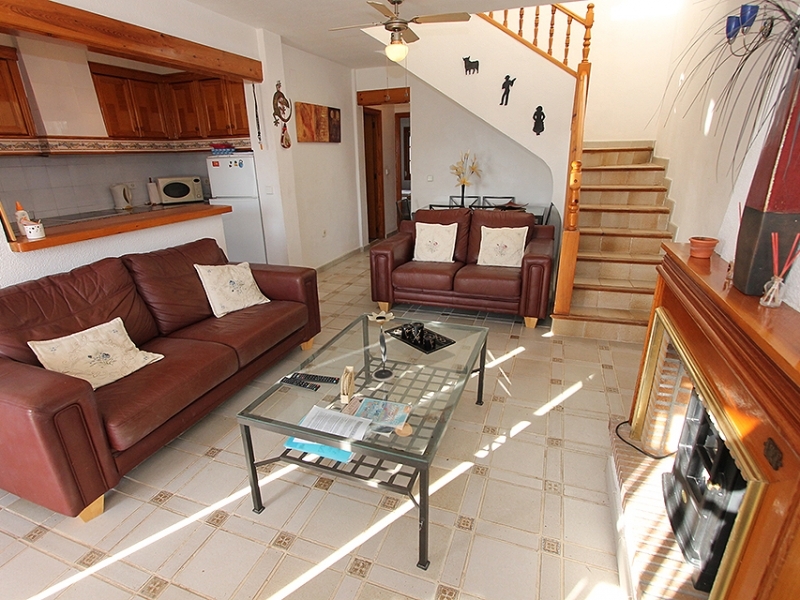 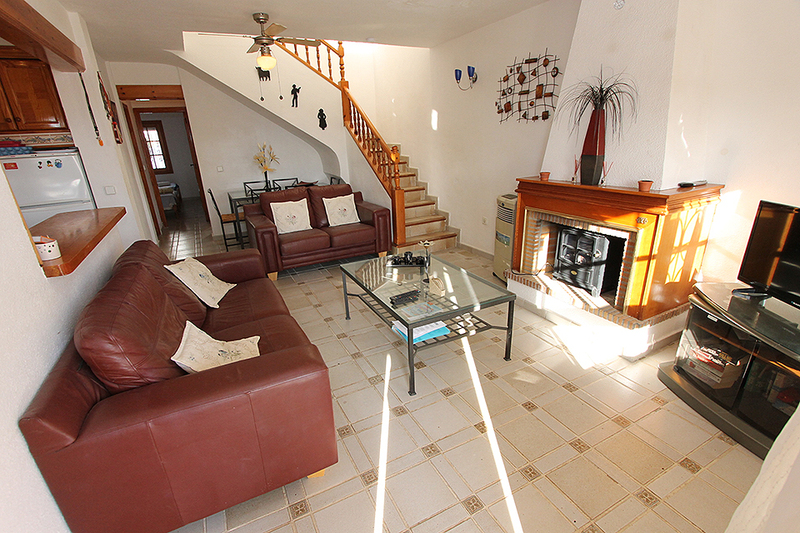 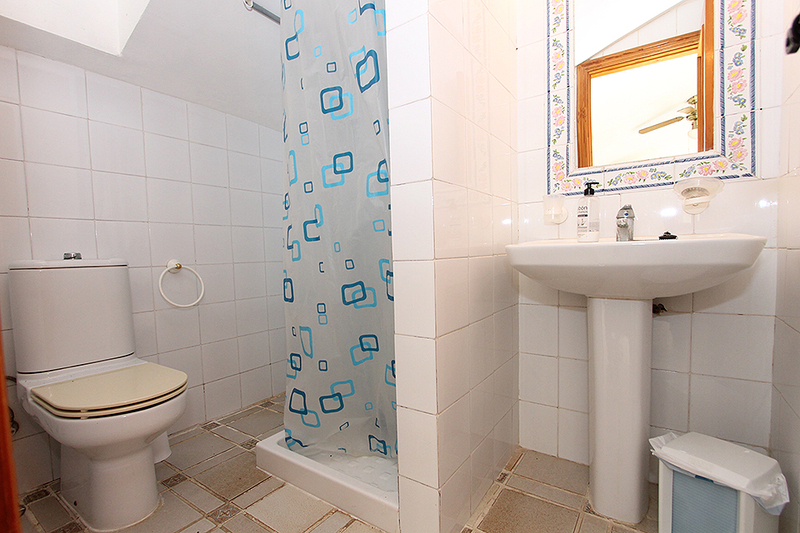 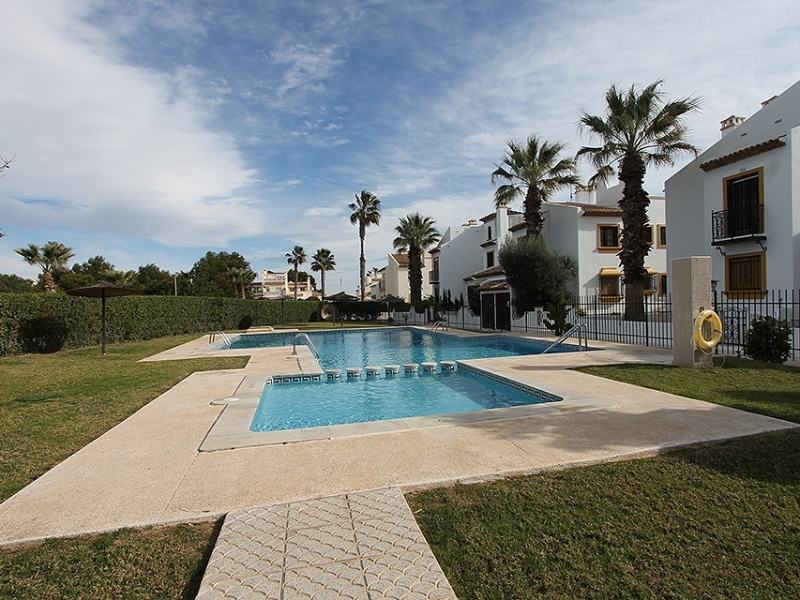 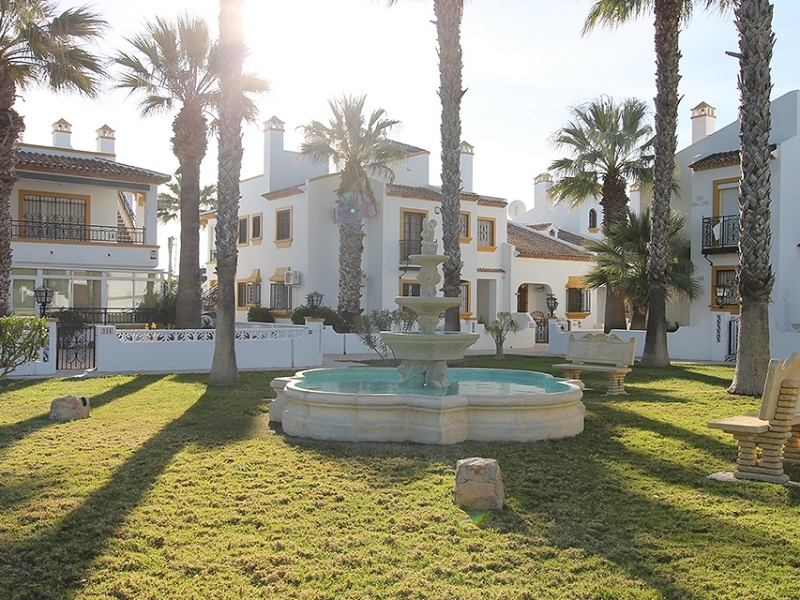 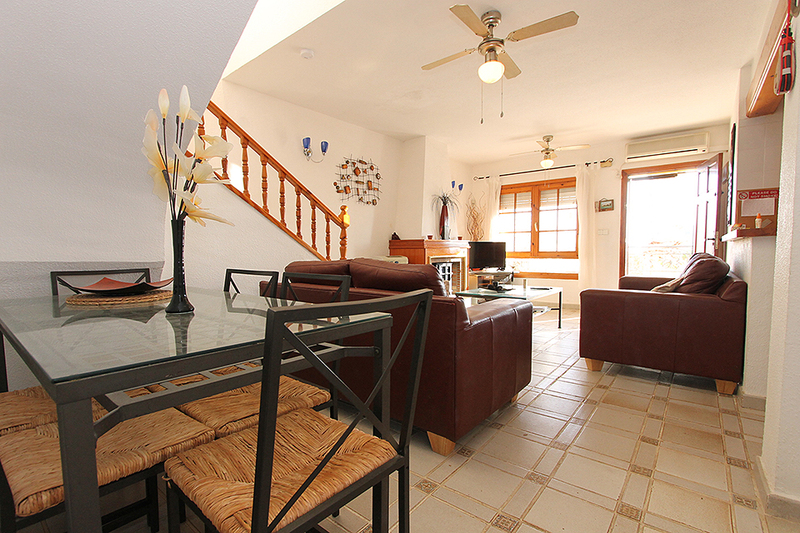 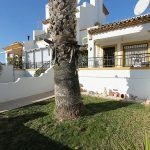 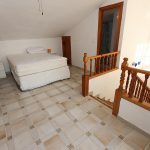 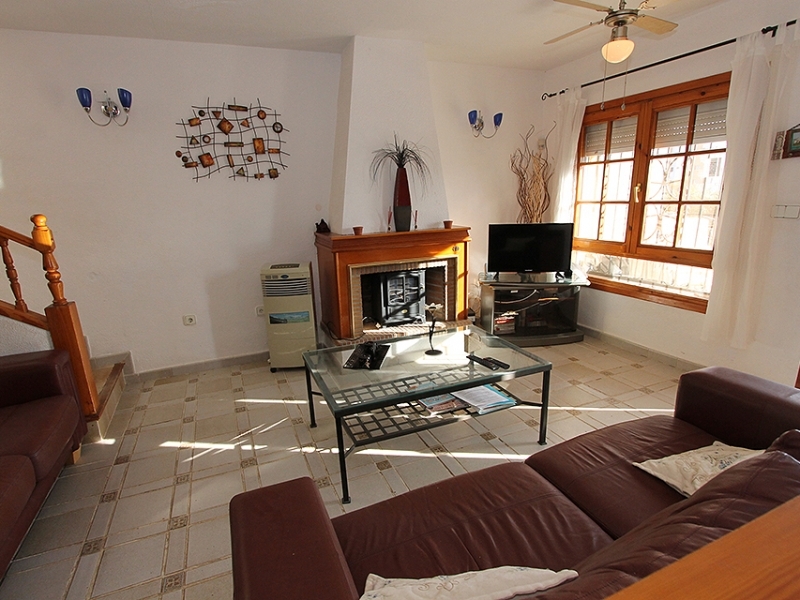 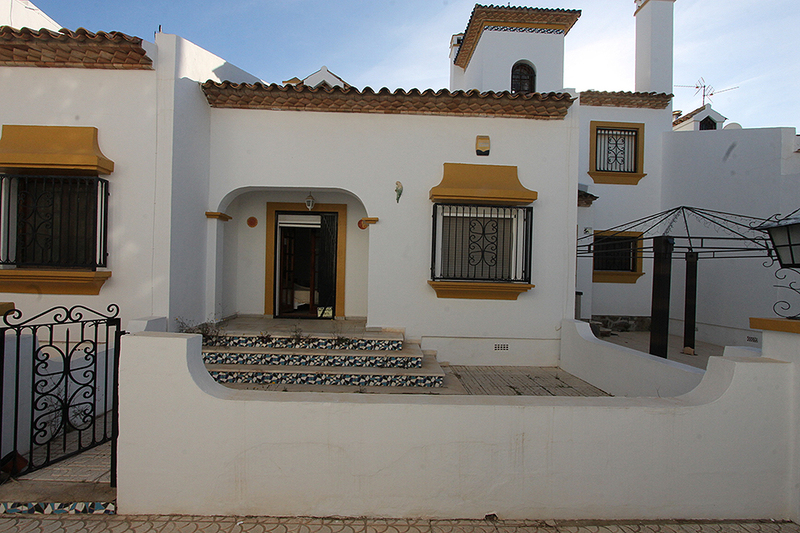 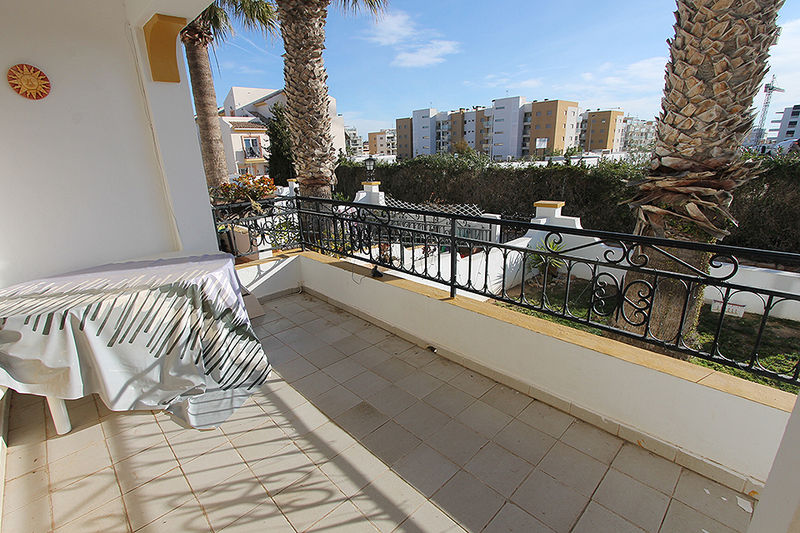 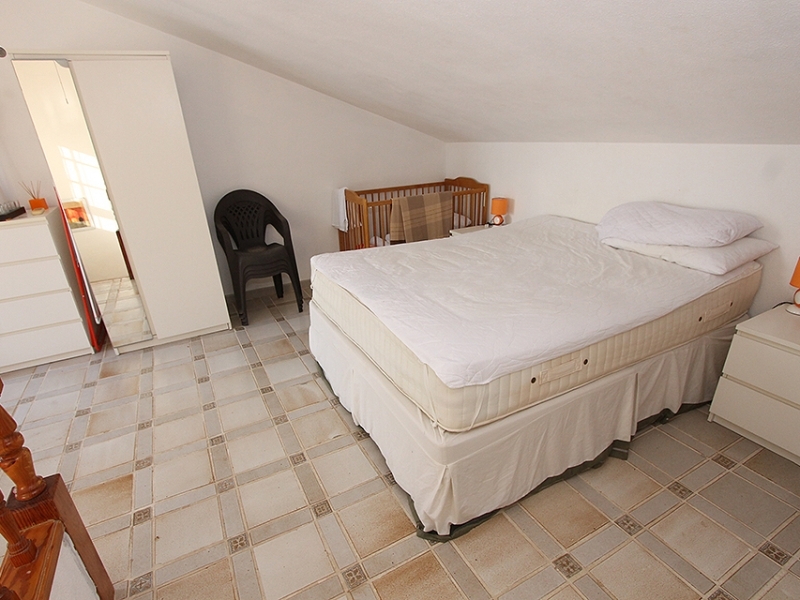 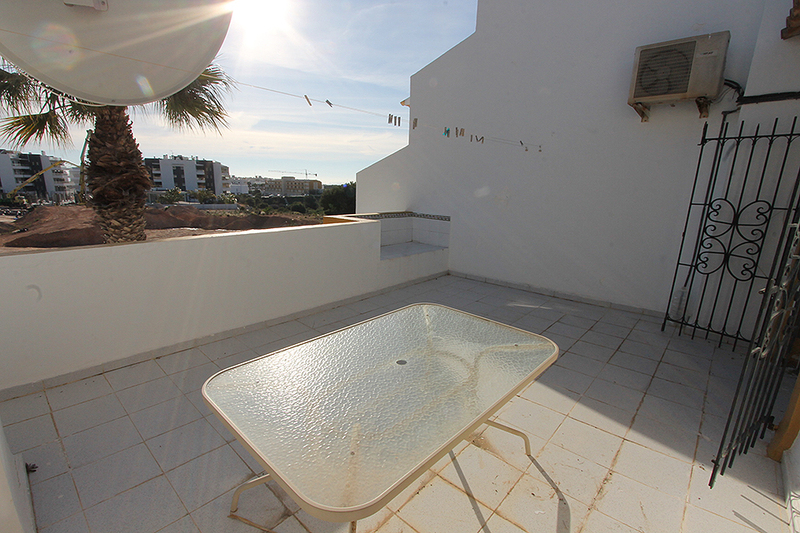 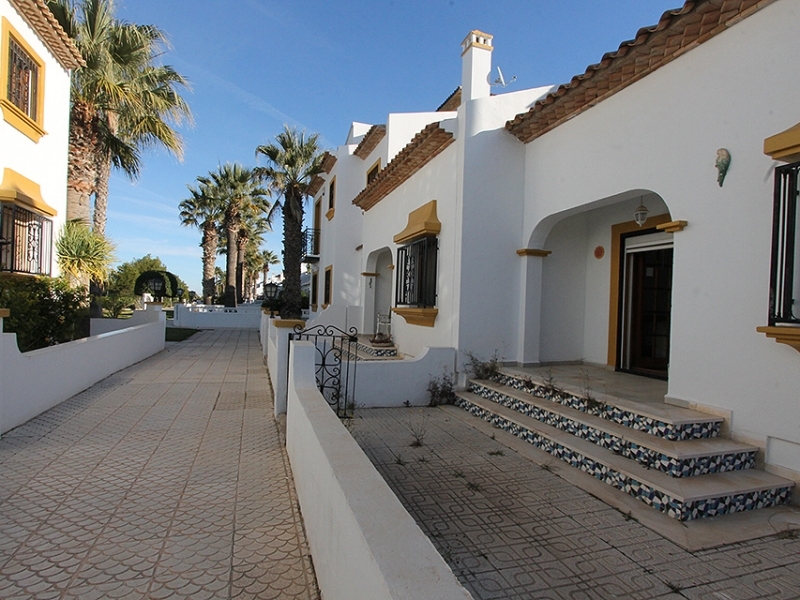 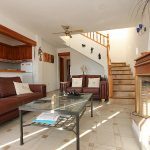 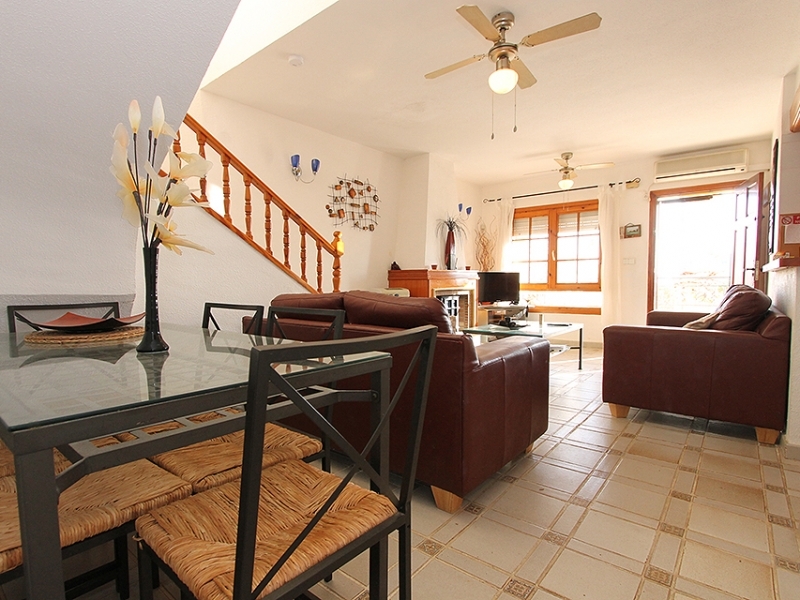 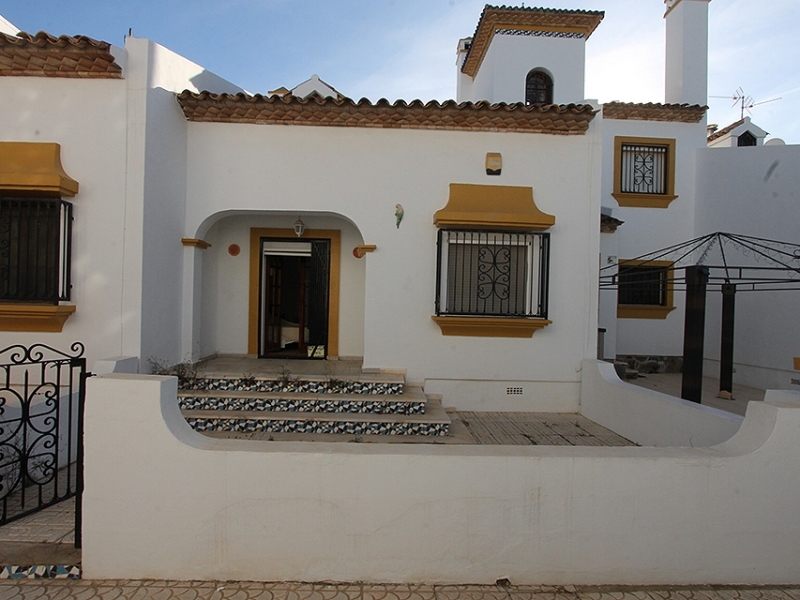 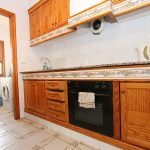 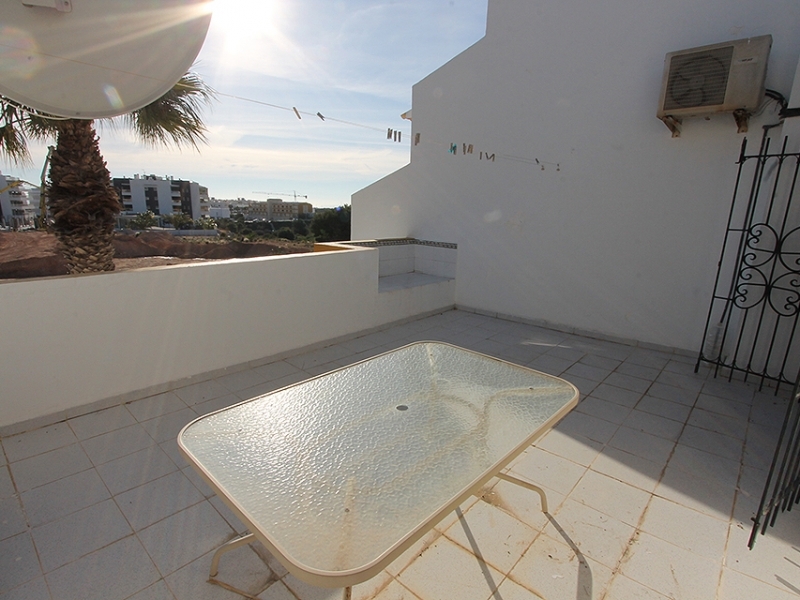 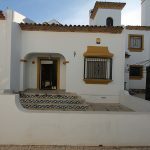 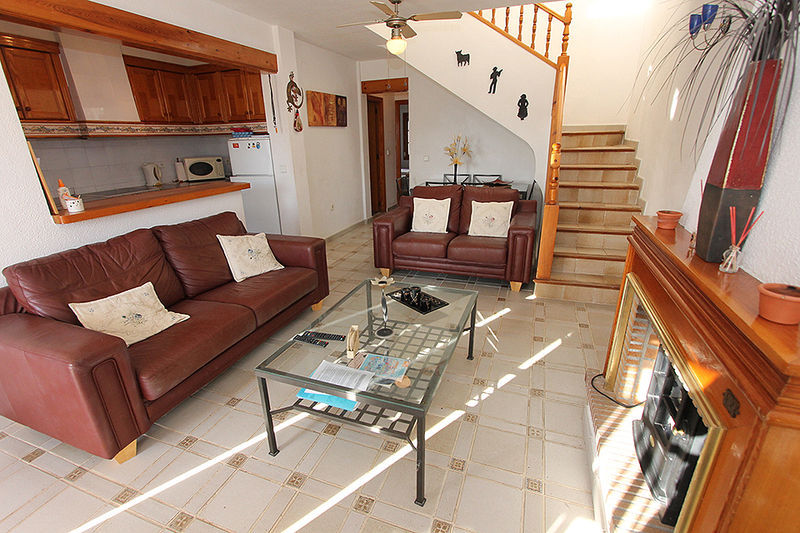 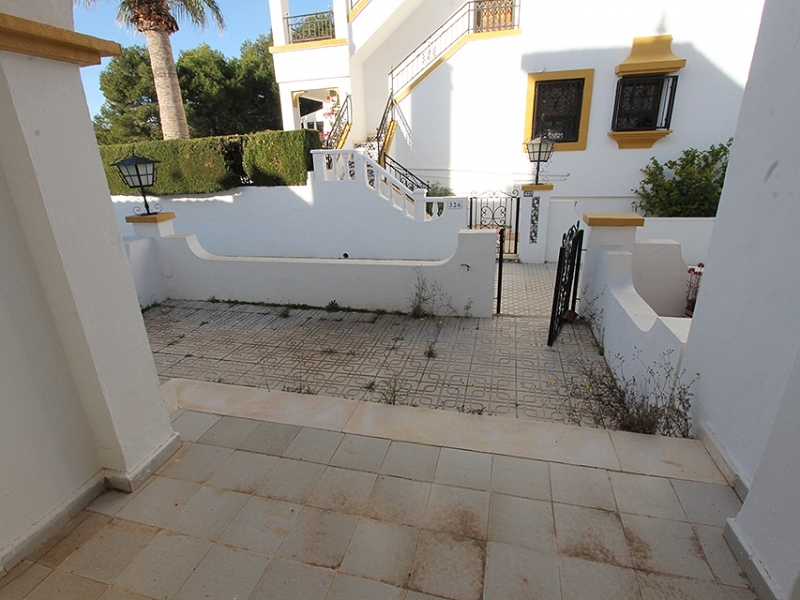 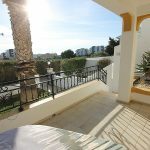 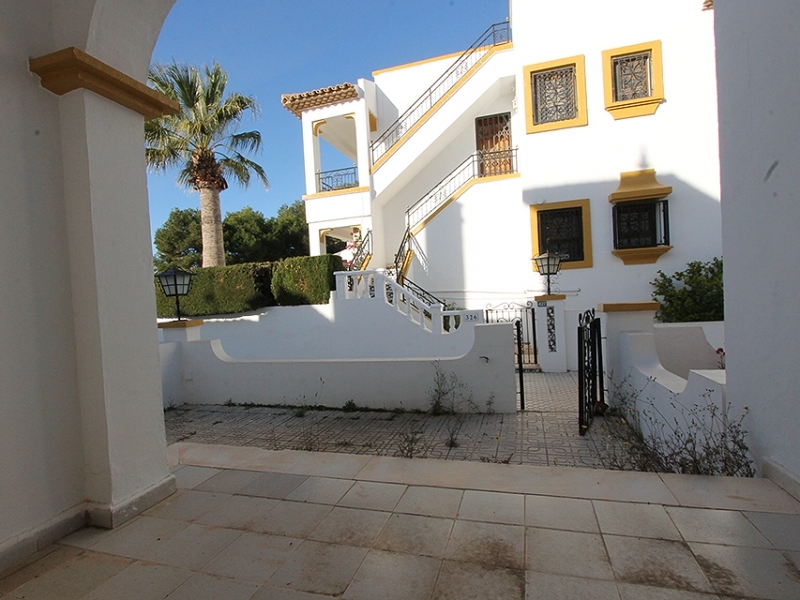 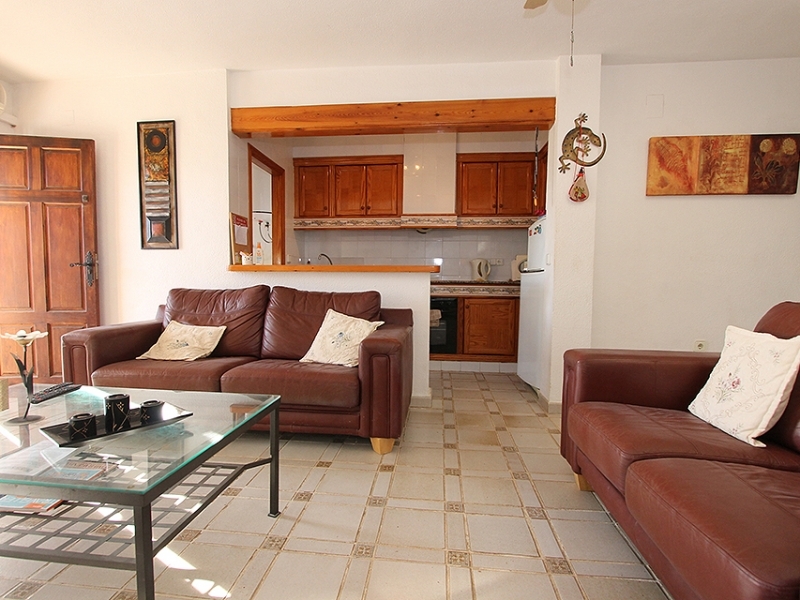 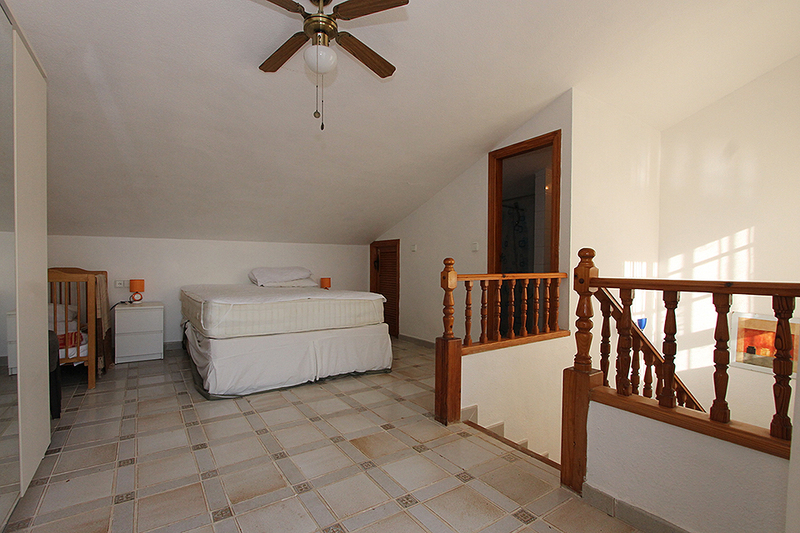 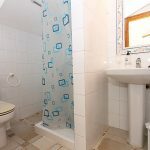 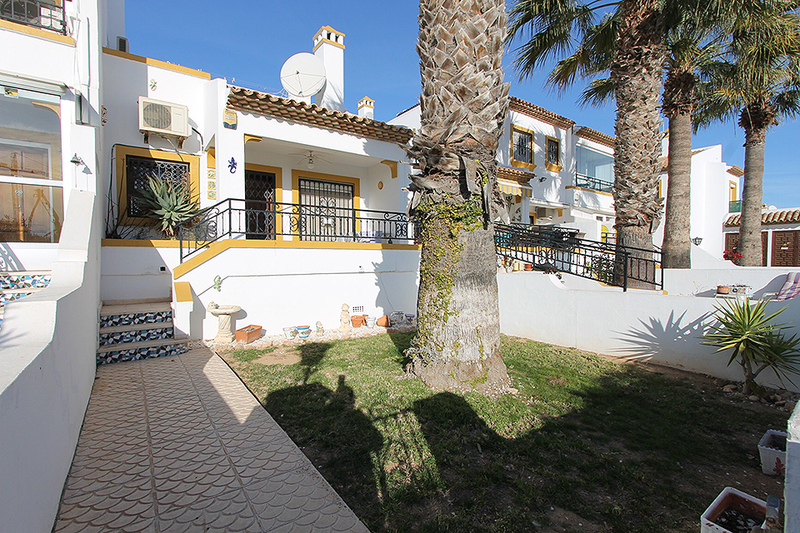 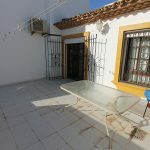 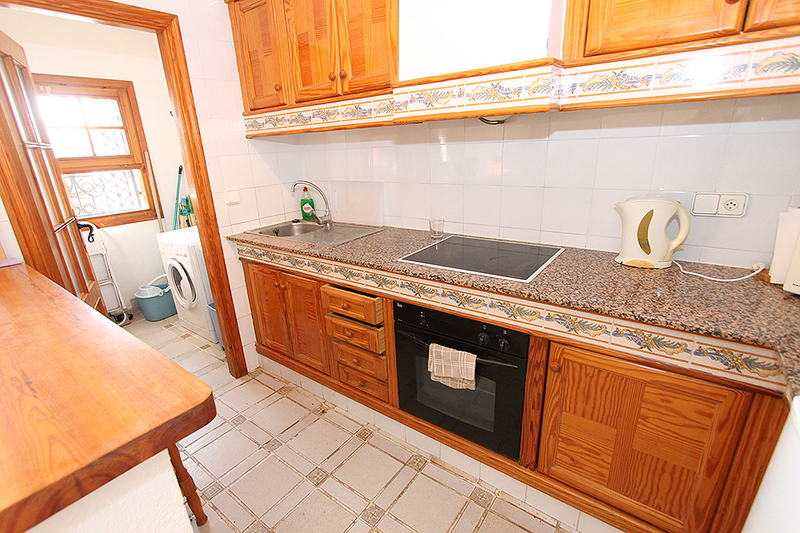 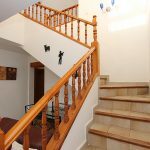 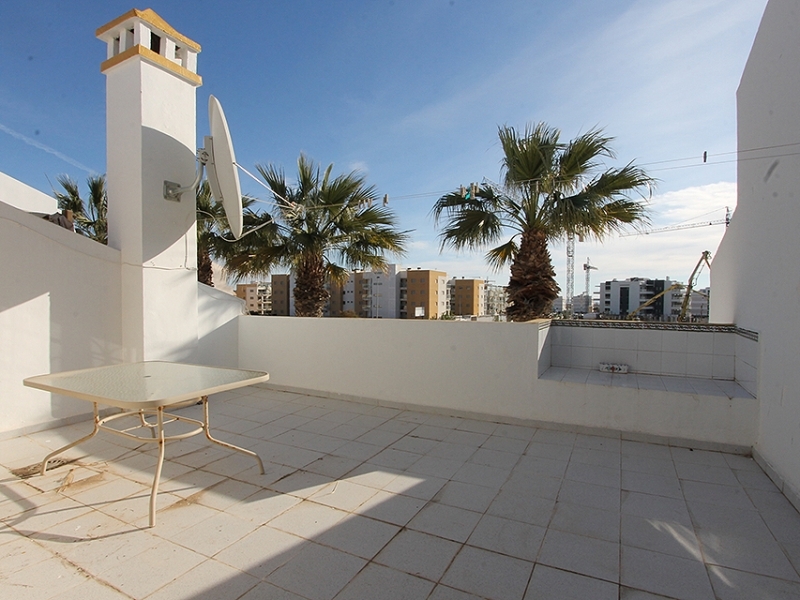 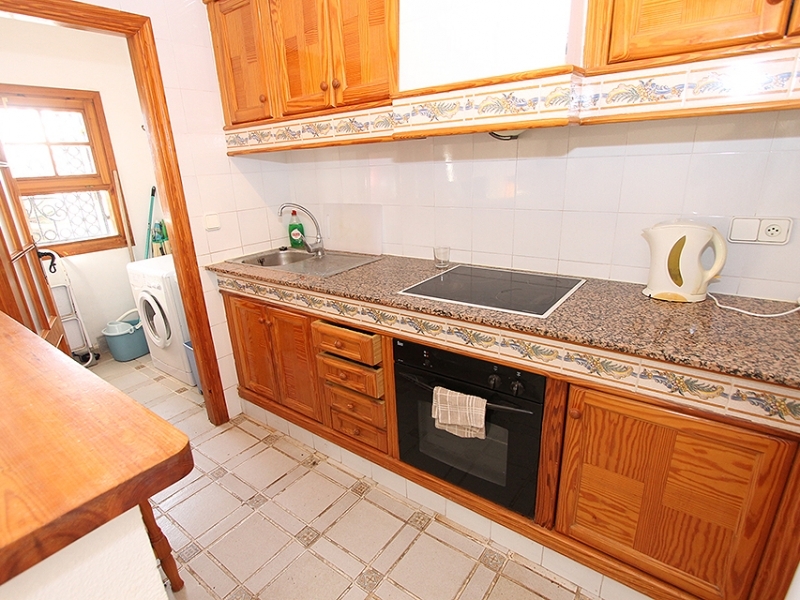 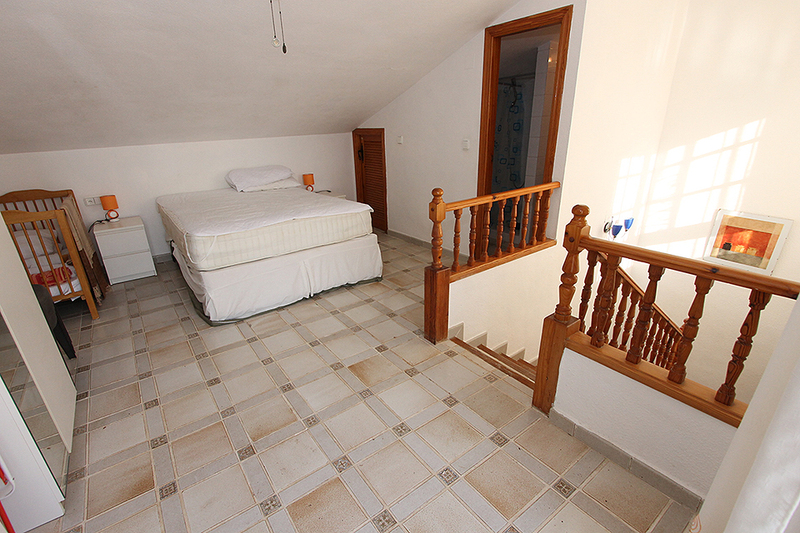 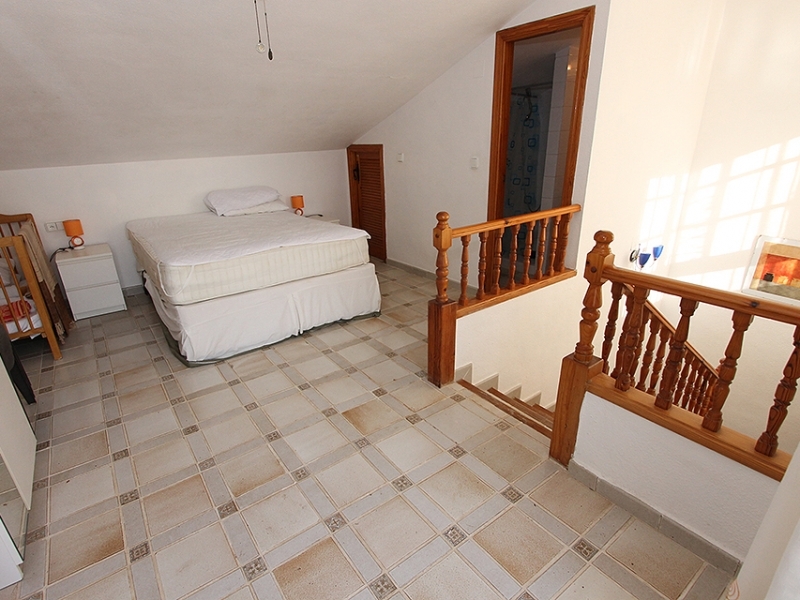 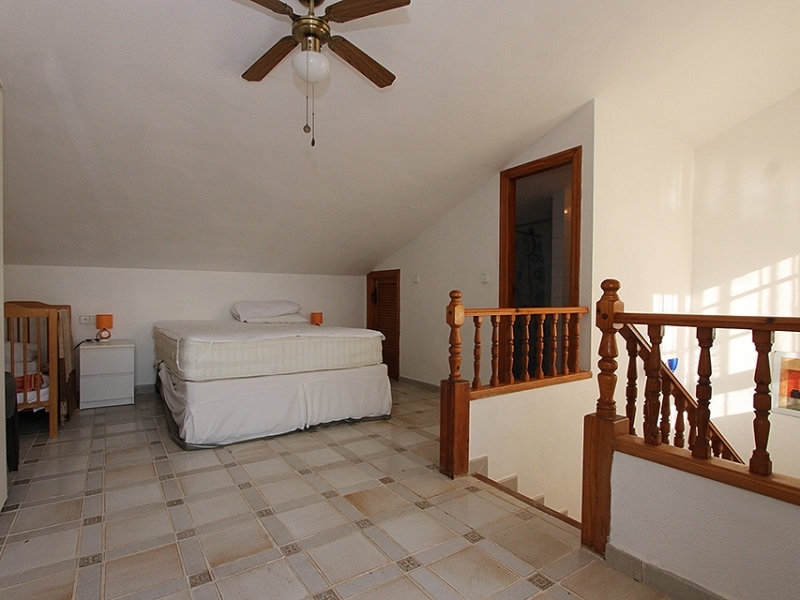 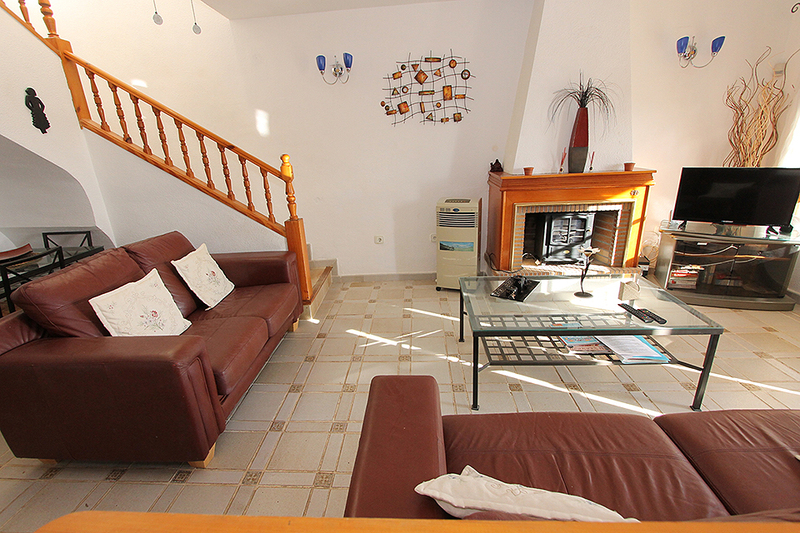 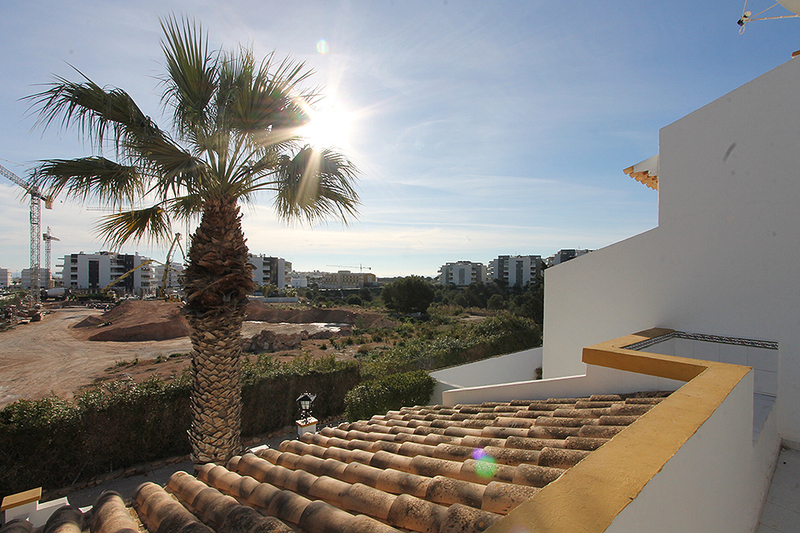 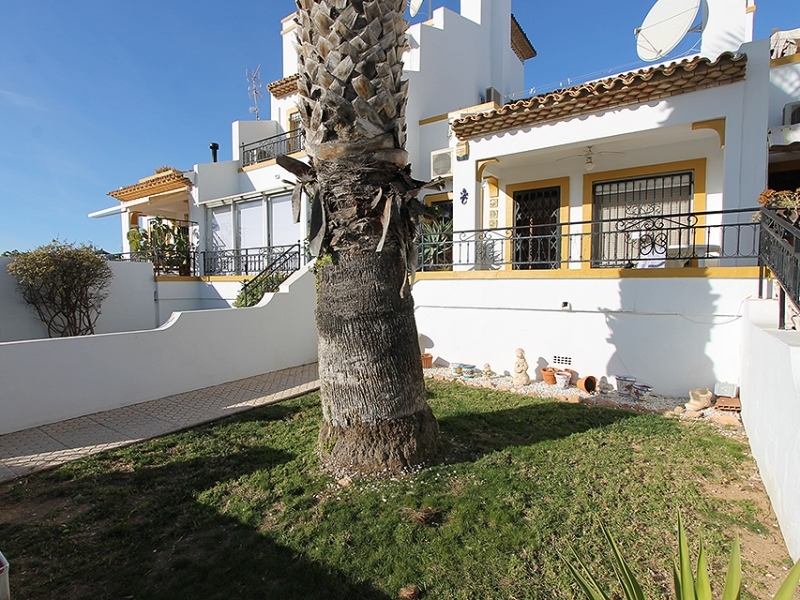 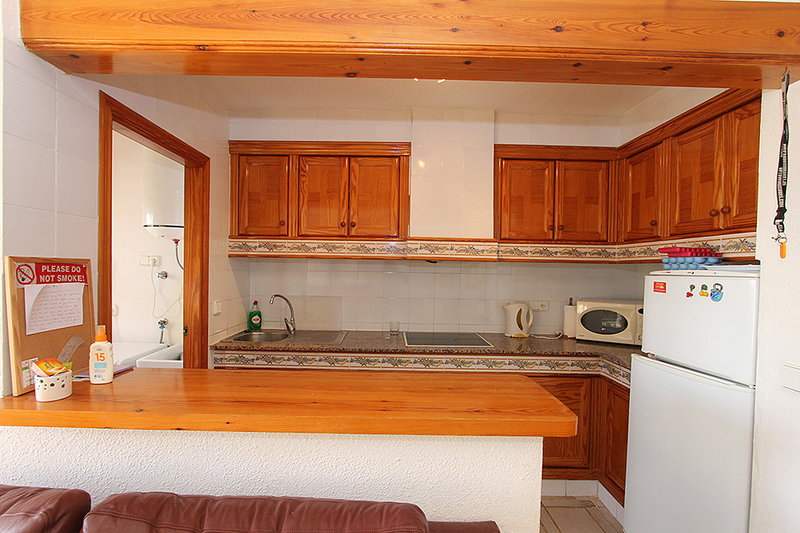 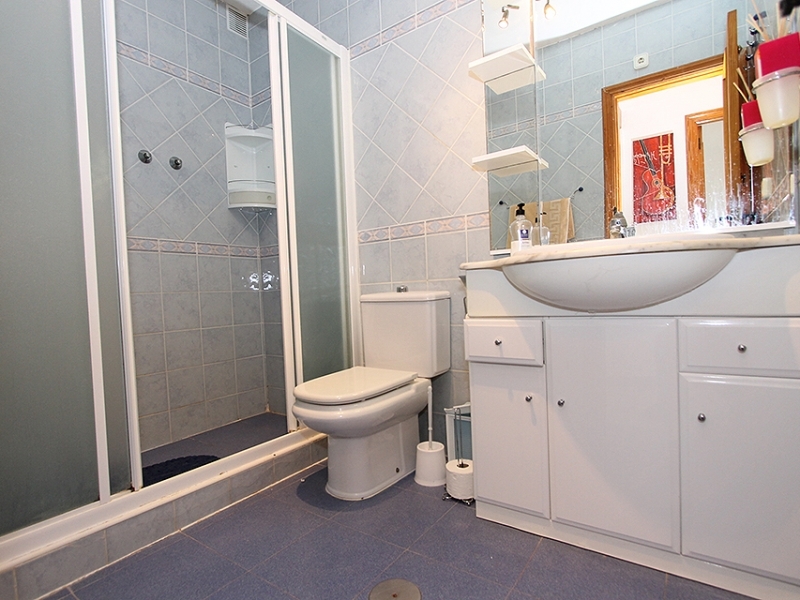 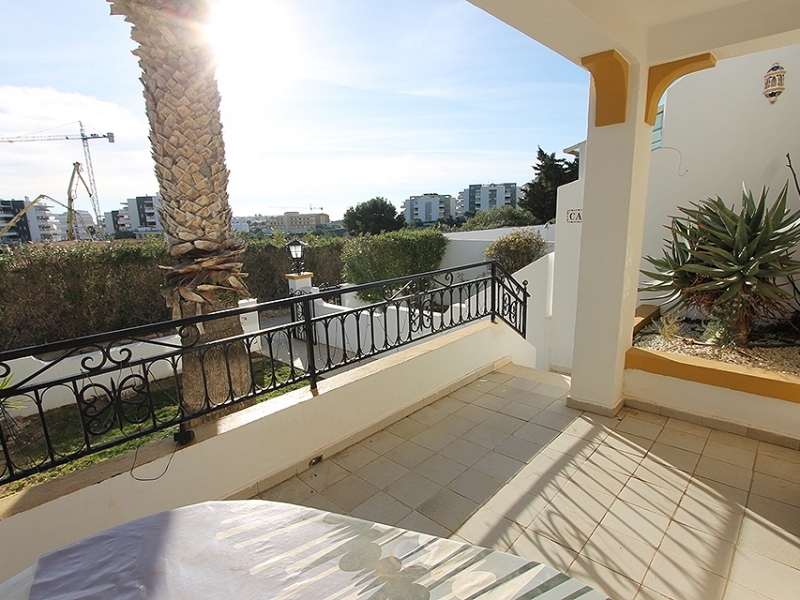 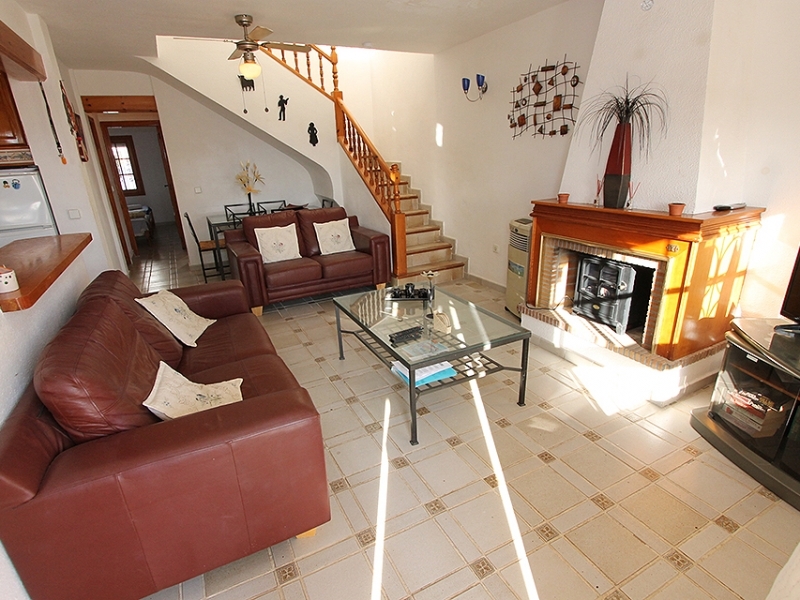 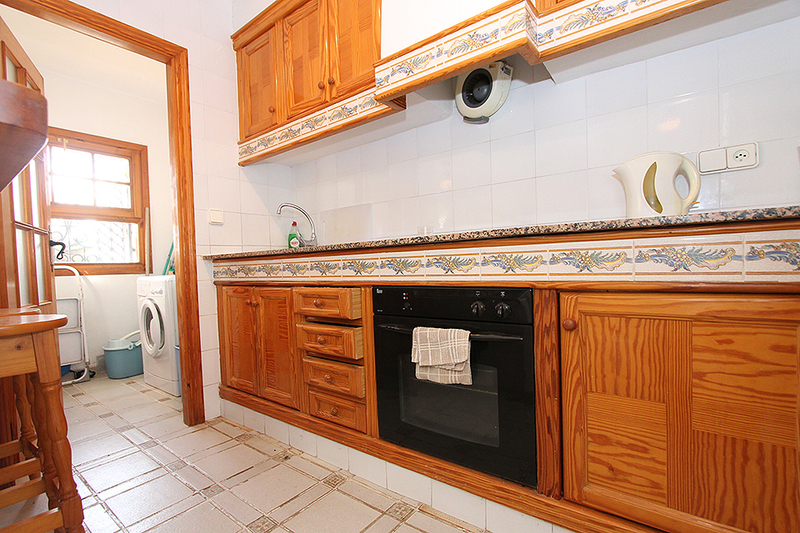 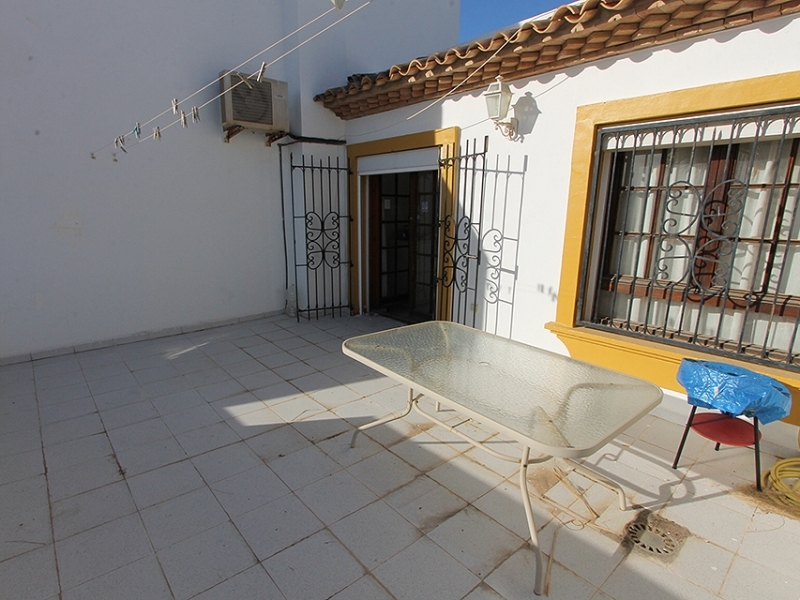 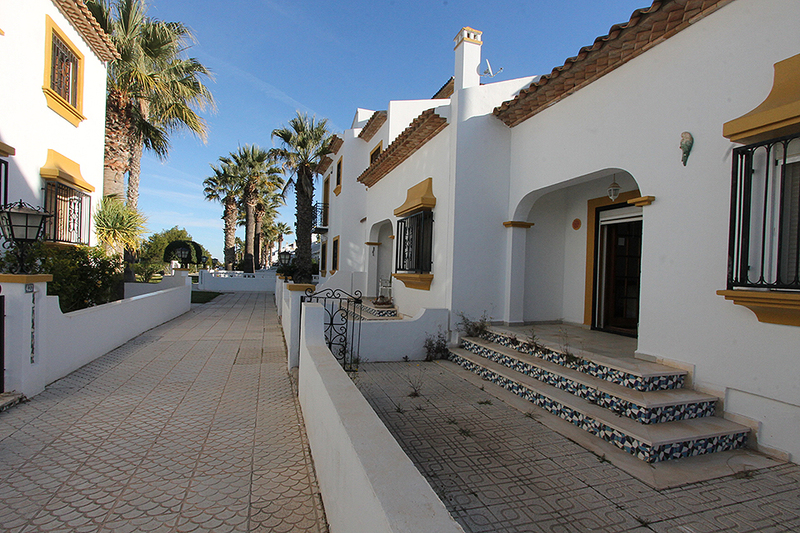 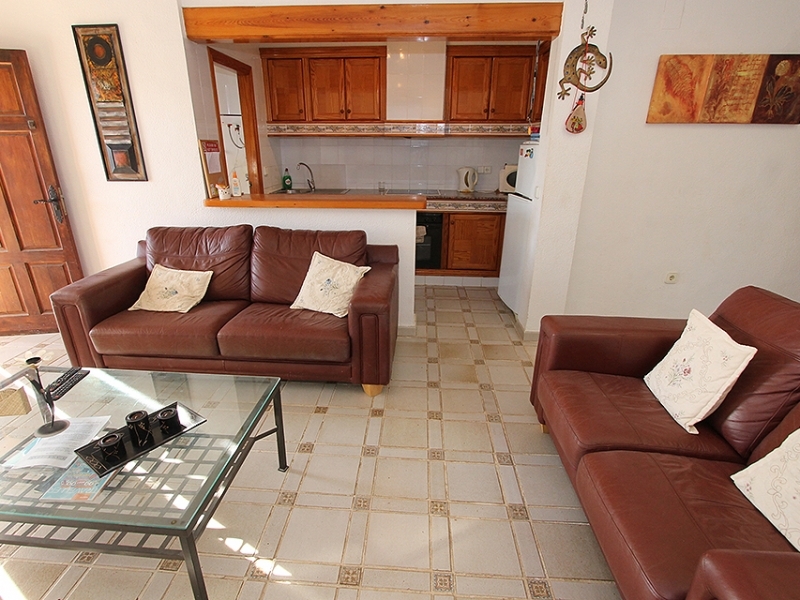 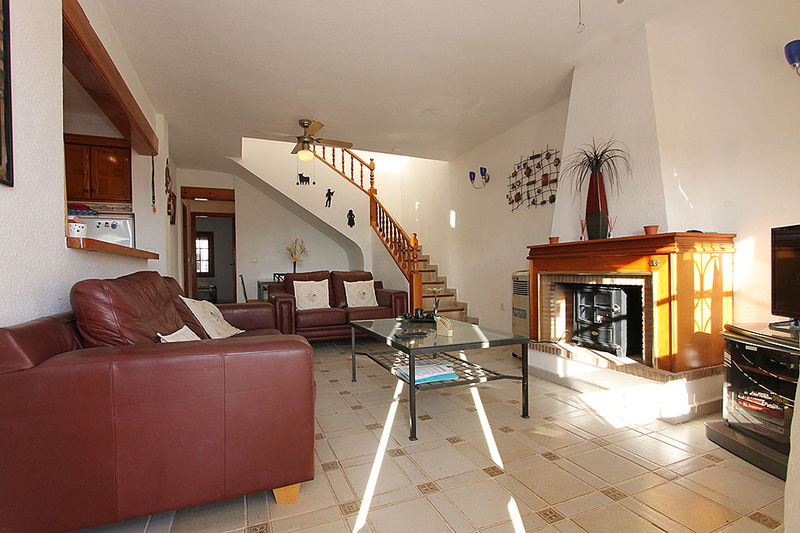 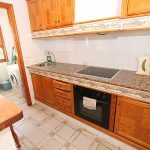 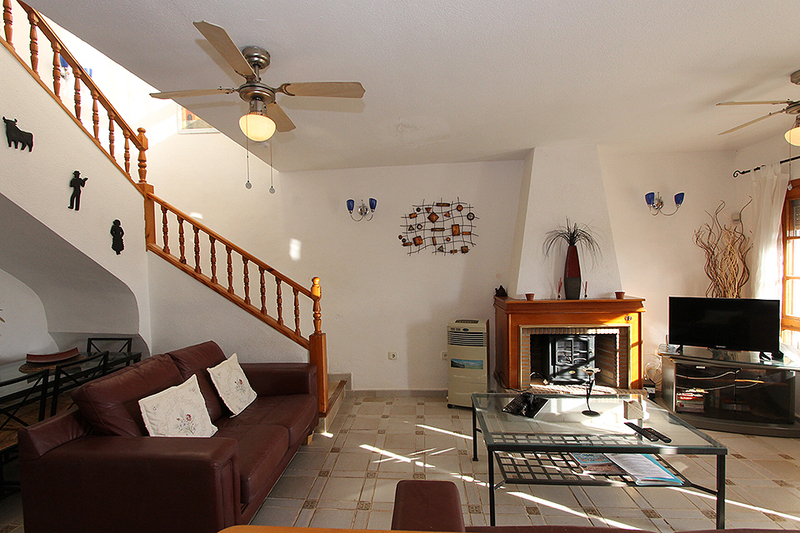 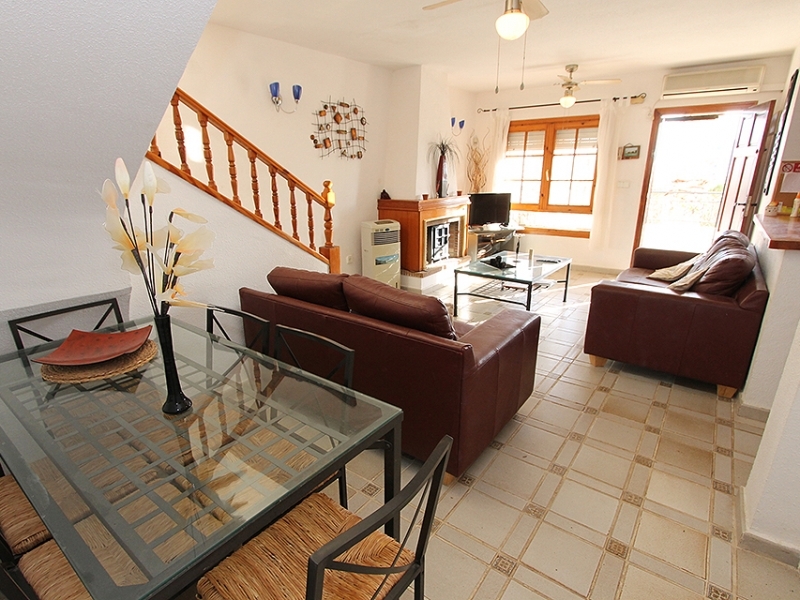 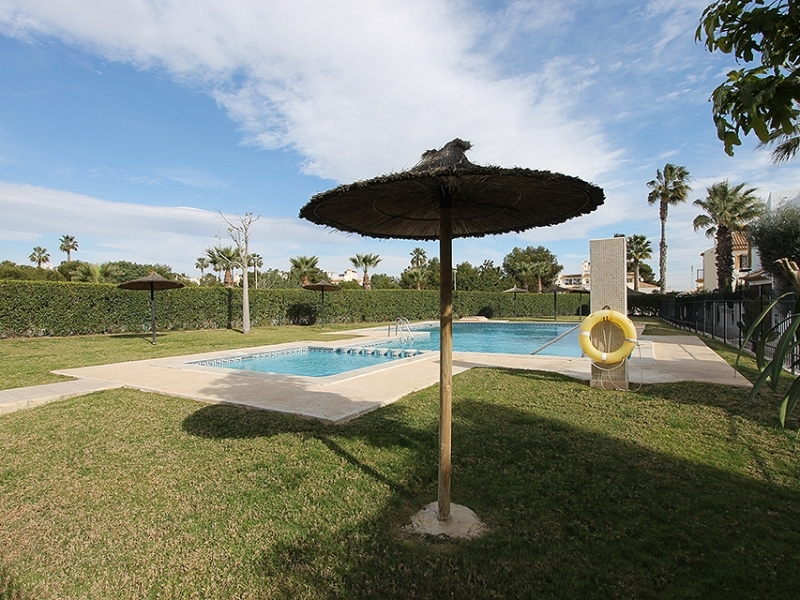 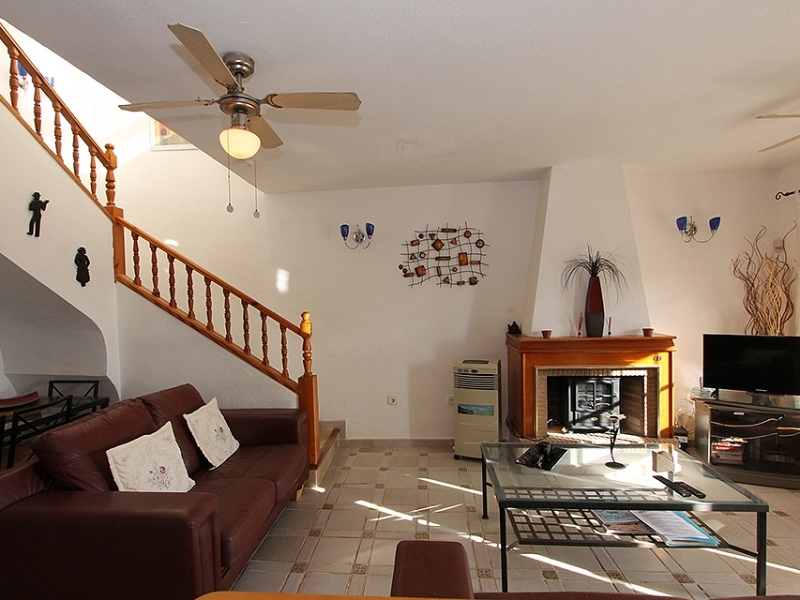 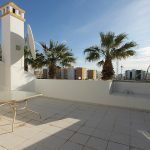 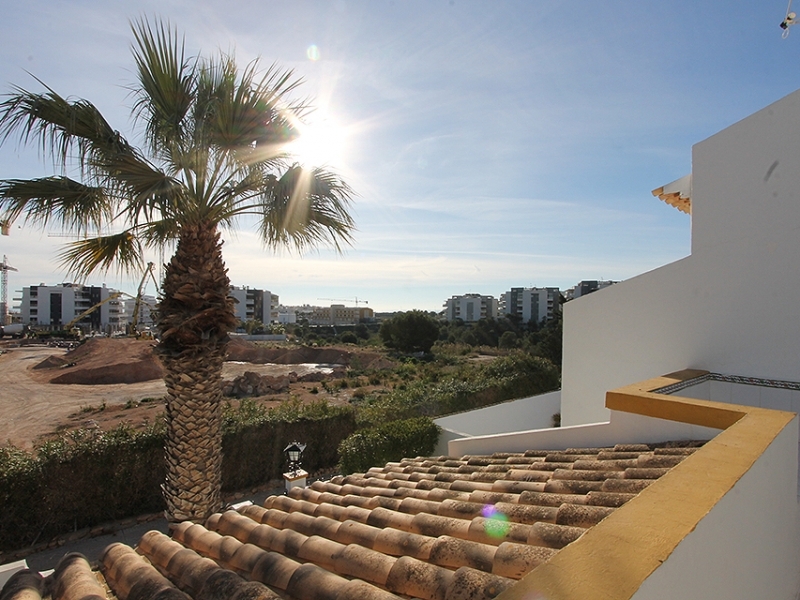 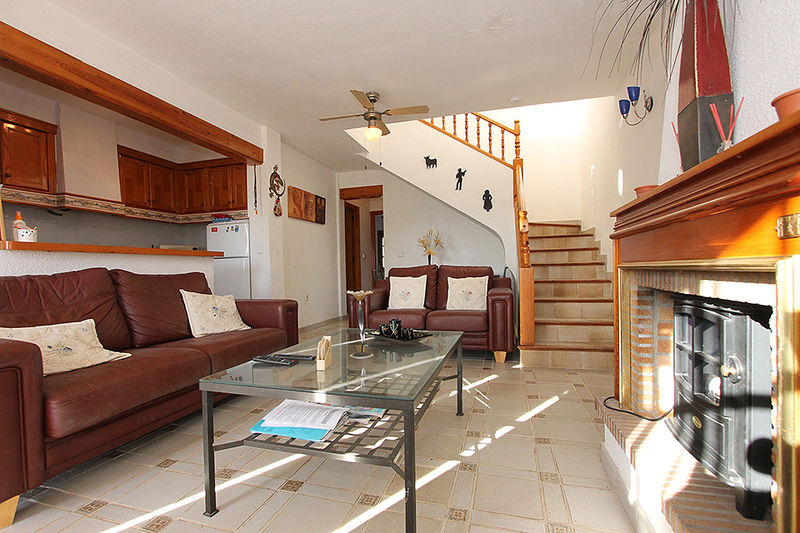 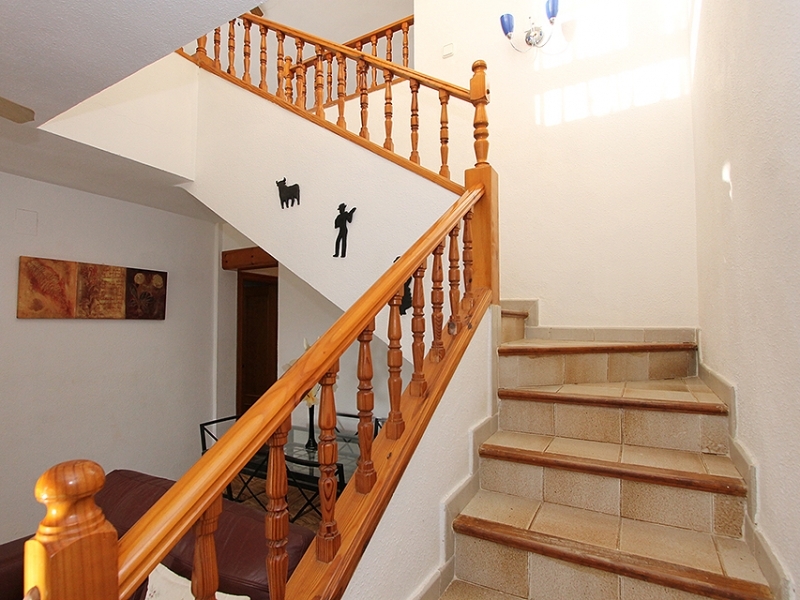 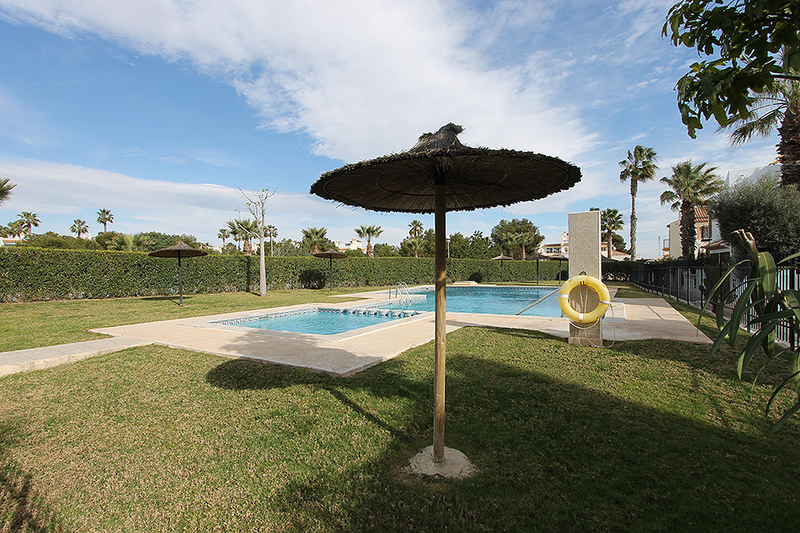 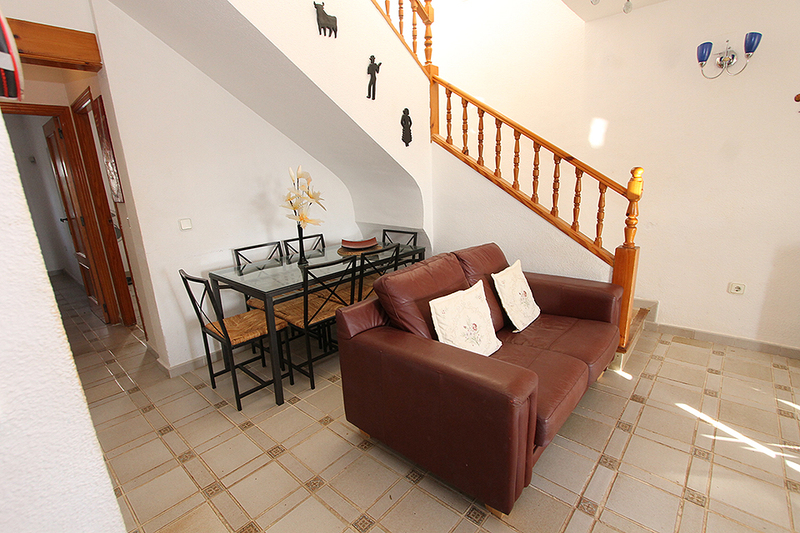 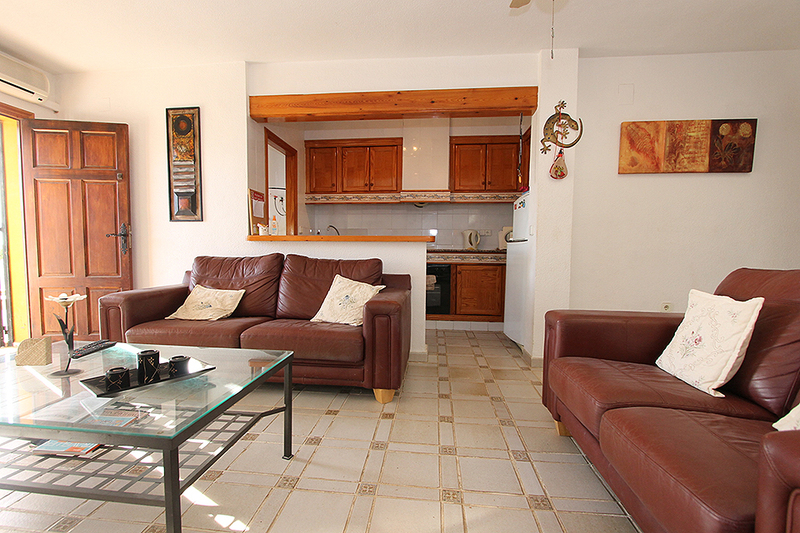 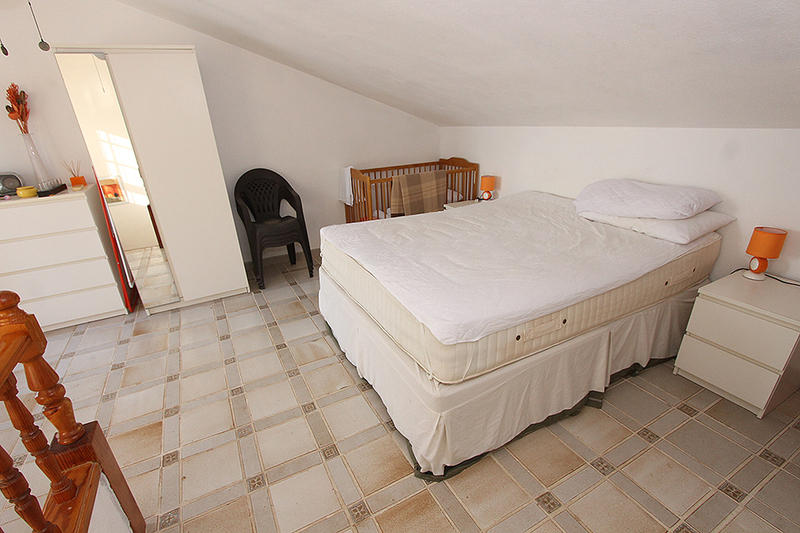 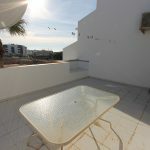 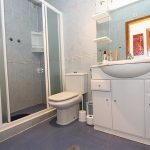 Three bedroom, two bathroom townhouse for sale in popular Villamartin community. 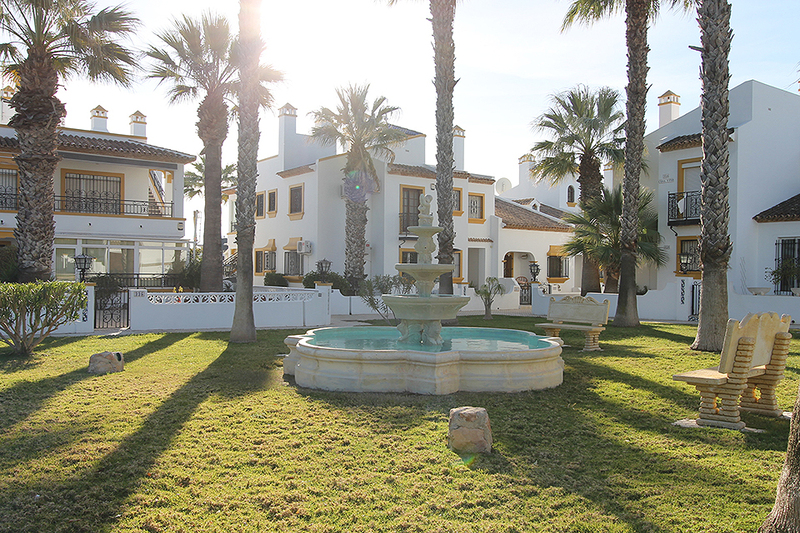 Located on the Valencia’s. 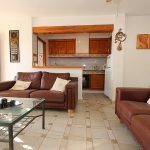 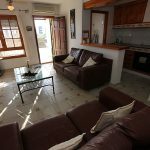 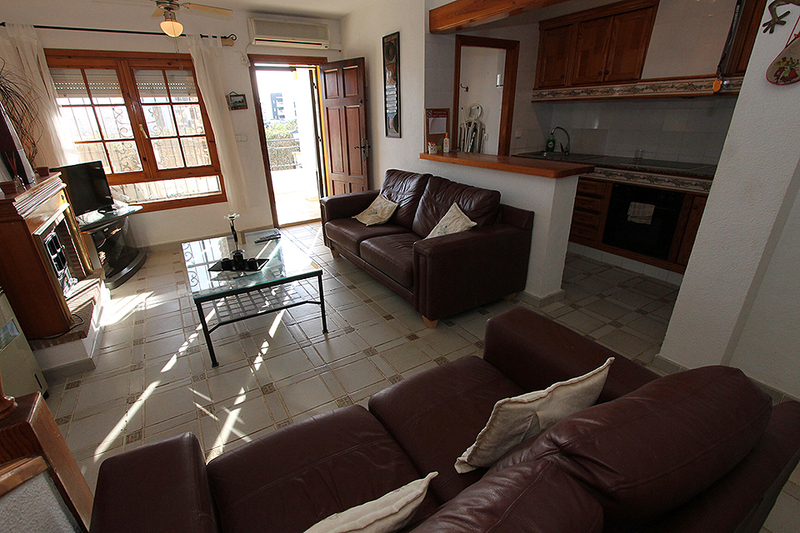 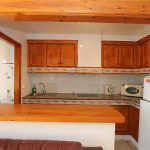 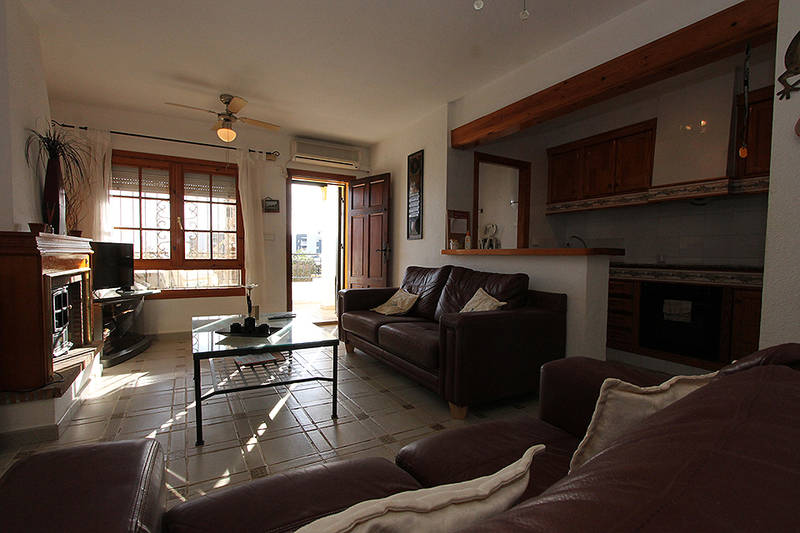 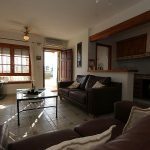 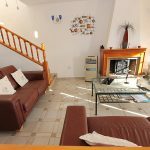 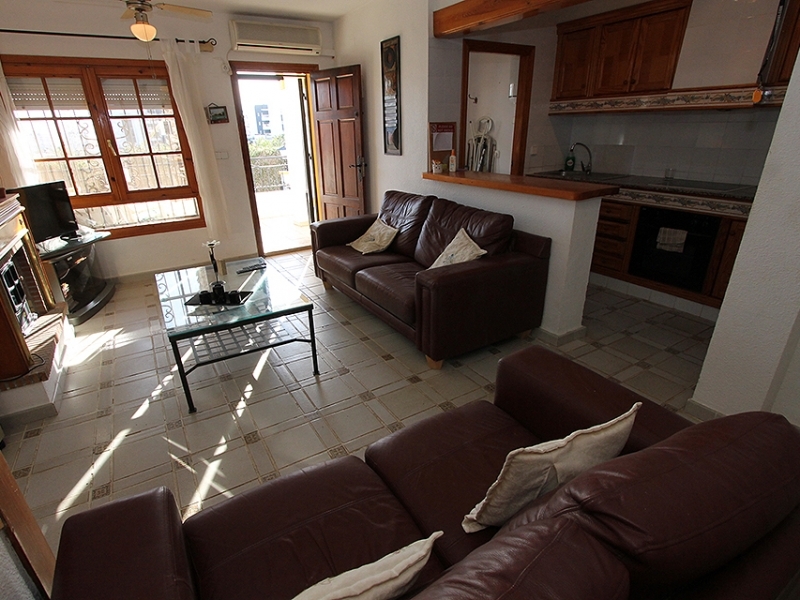 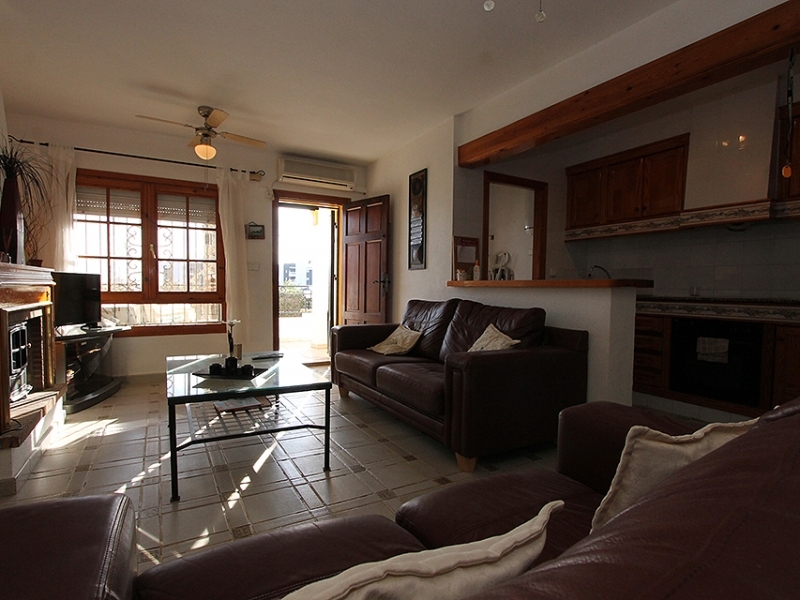 American kitchen, utility room, large dining / living room, fireplace, furnished and equipped, air-conditioning, terrace, solarium, sea views. 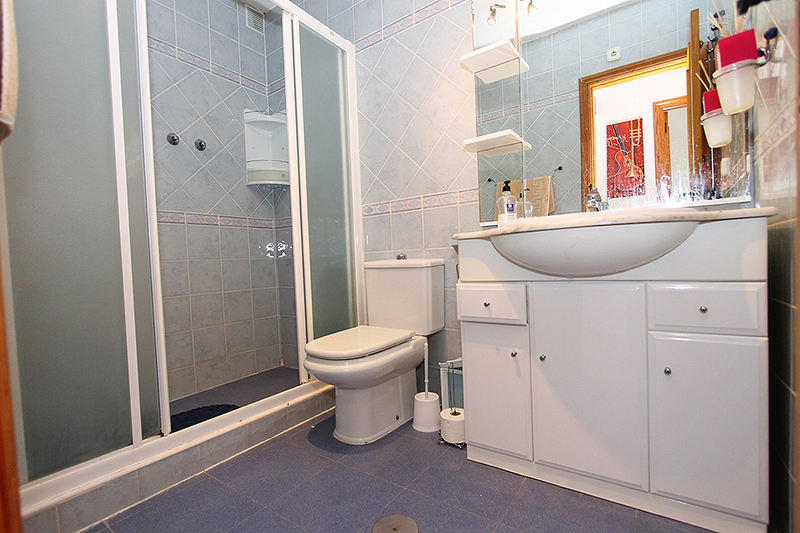 Built in 1990. 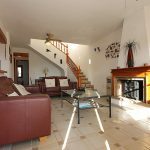 108m2 living area. 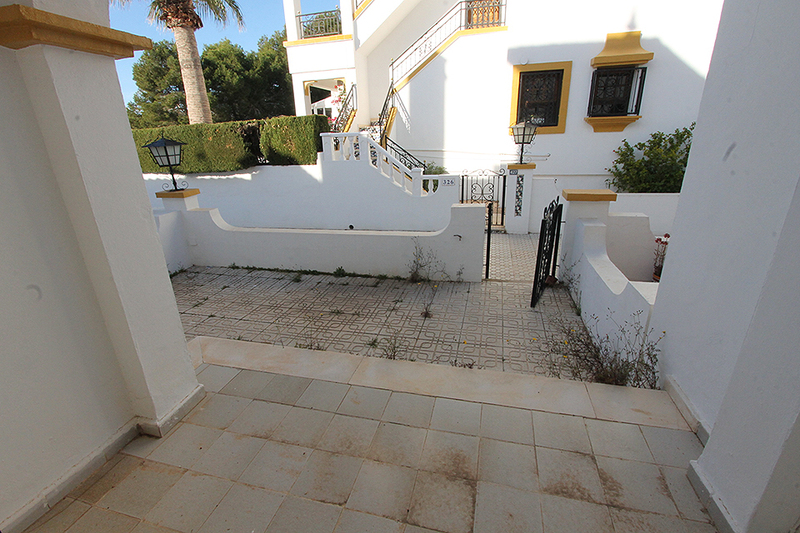 40m2 front garden. 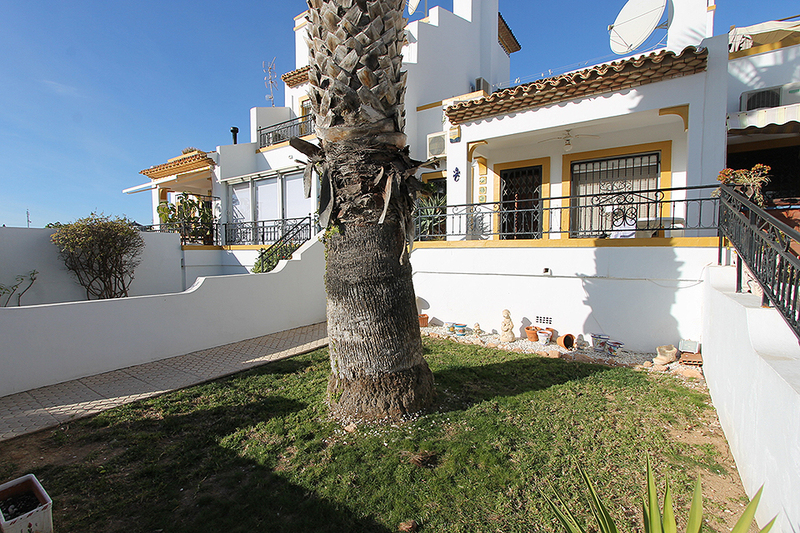 20m2 back garden.